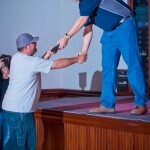 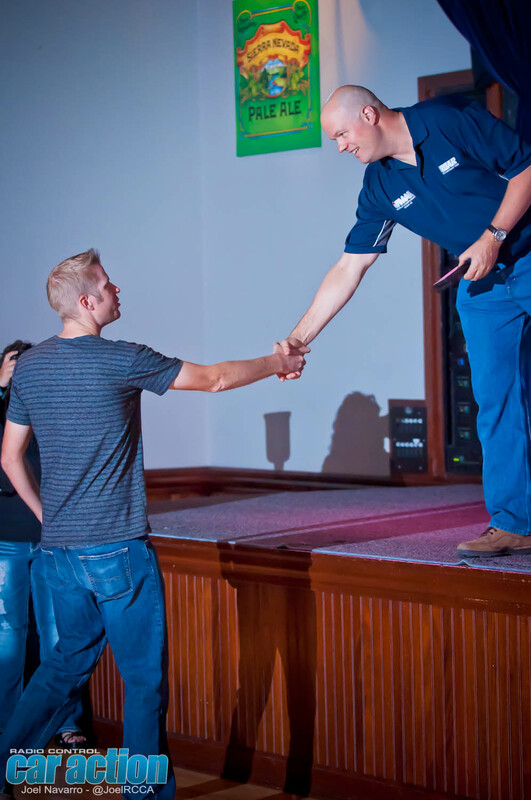 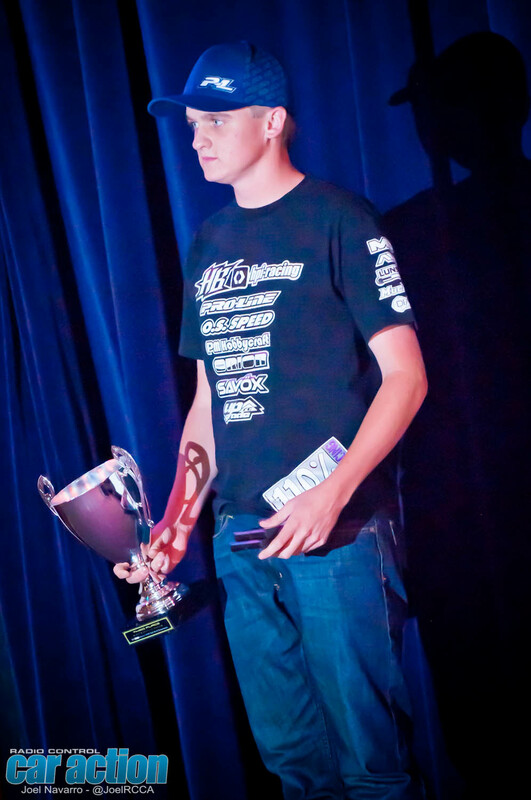 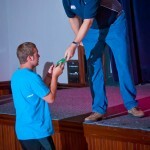 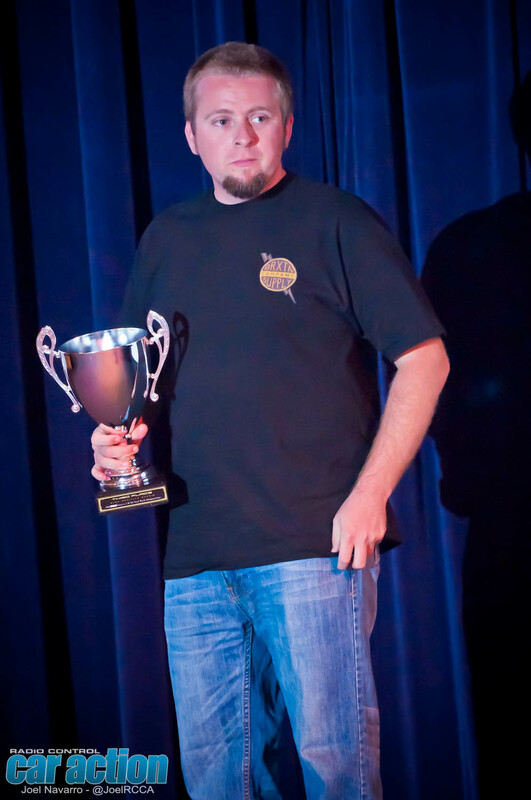 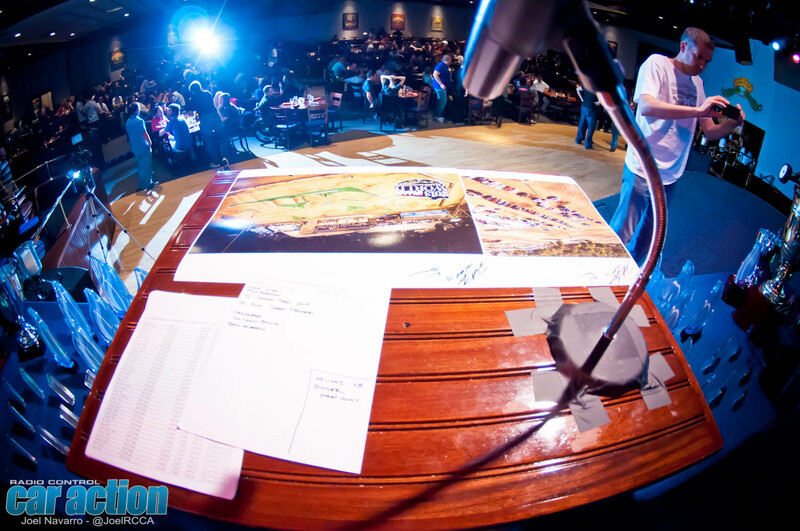 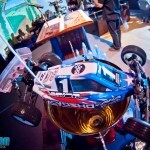 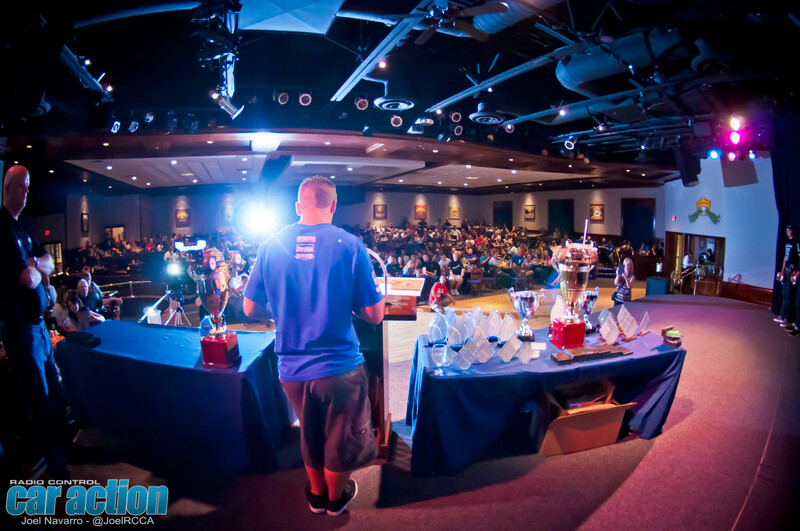 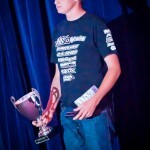 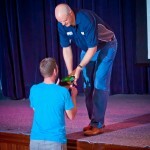 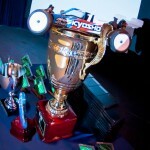 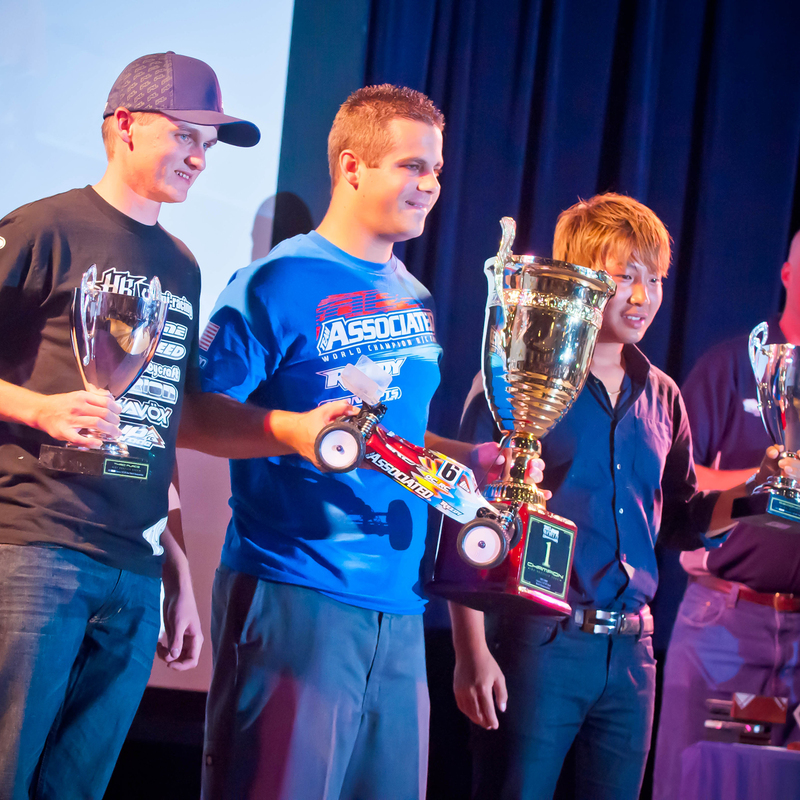 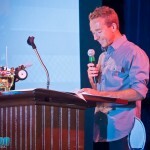 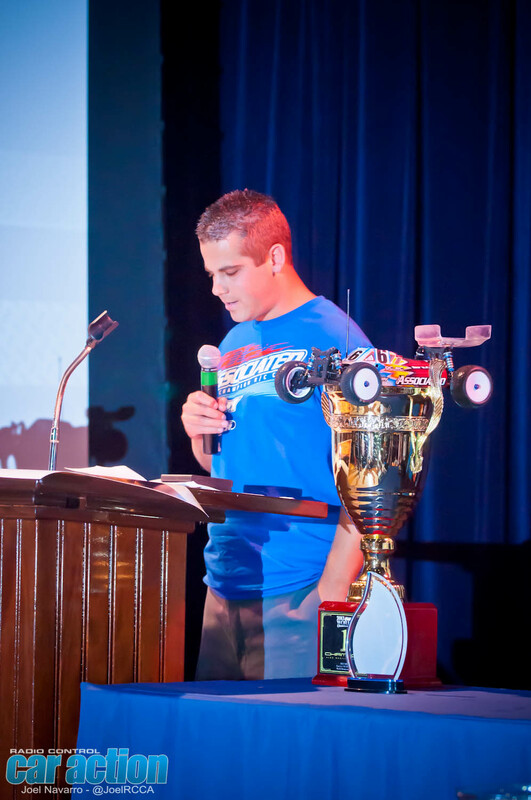 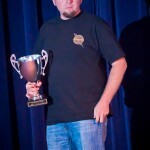 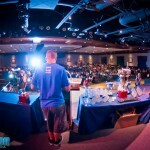 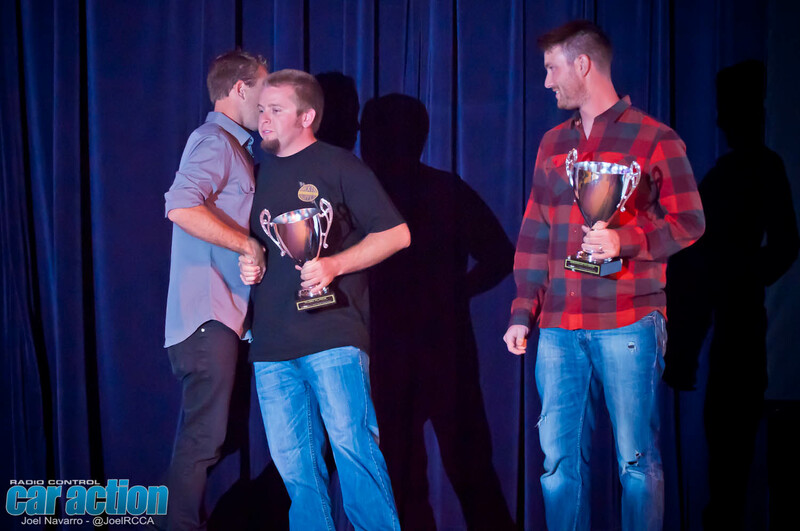 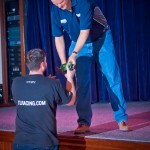 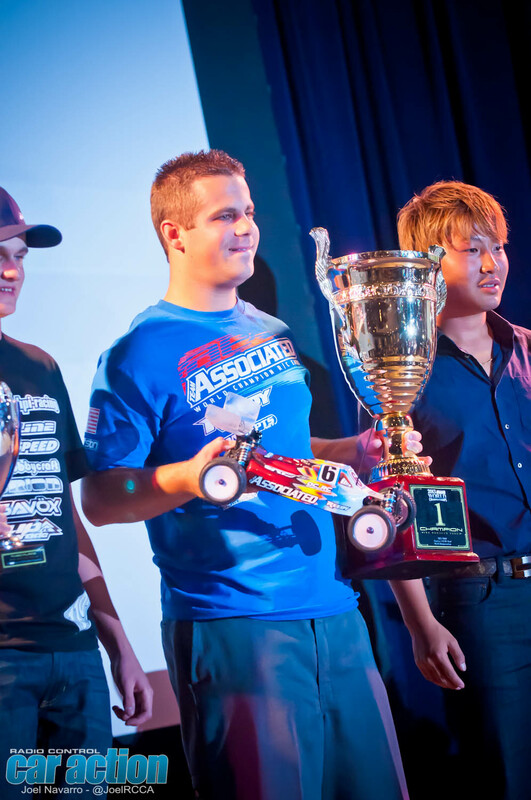 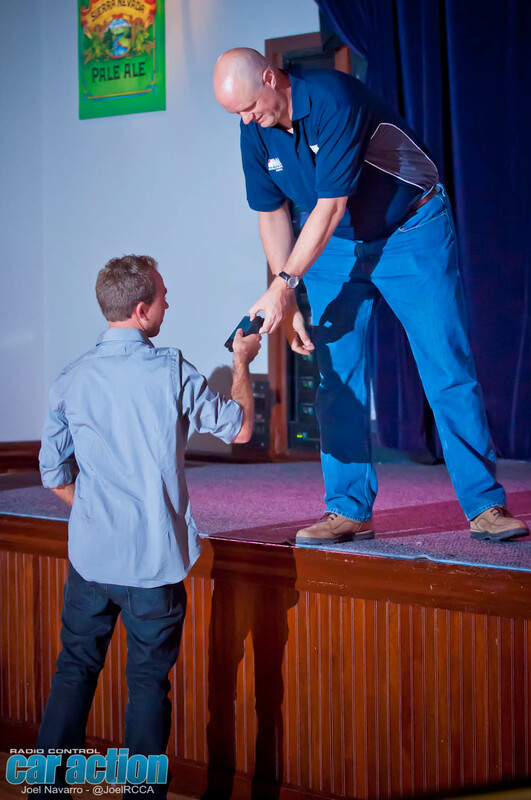 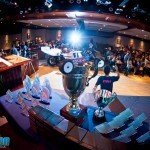 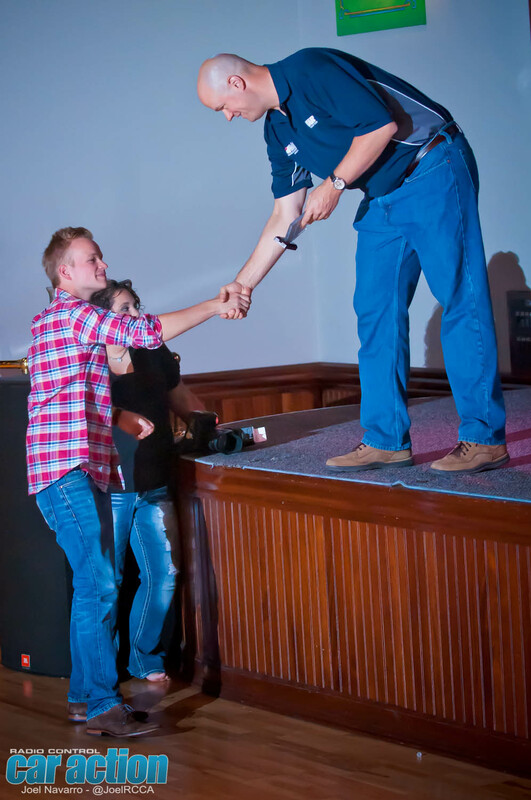 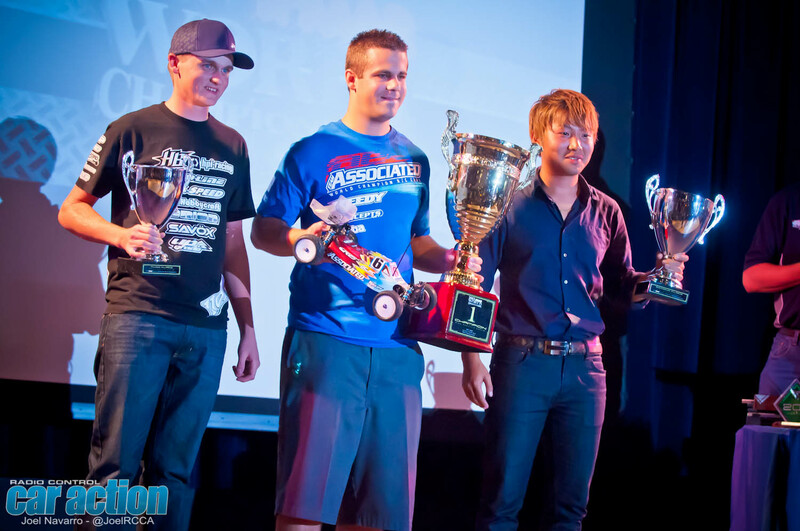 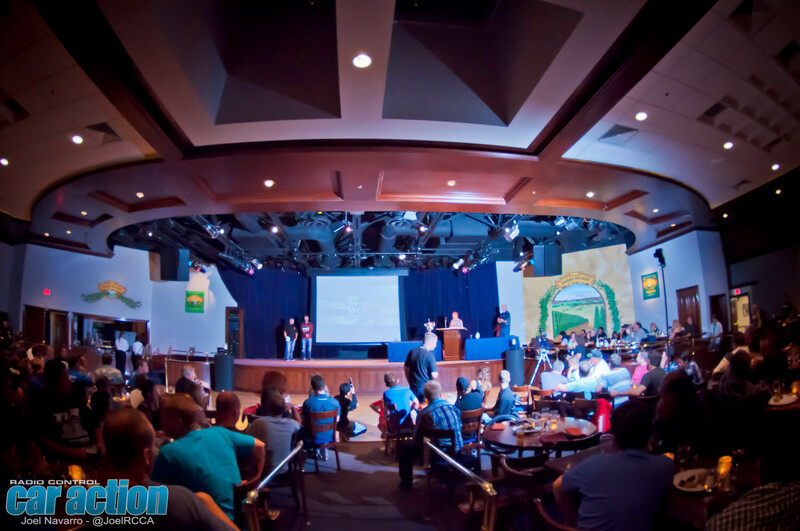 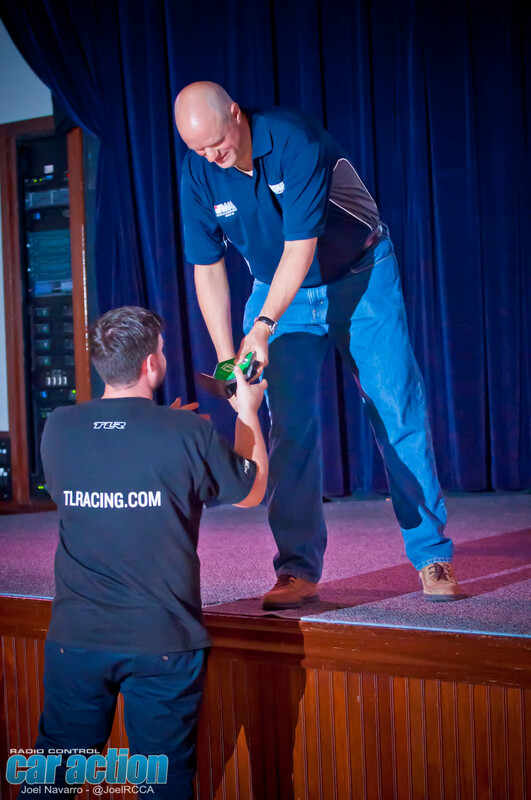 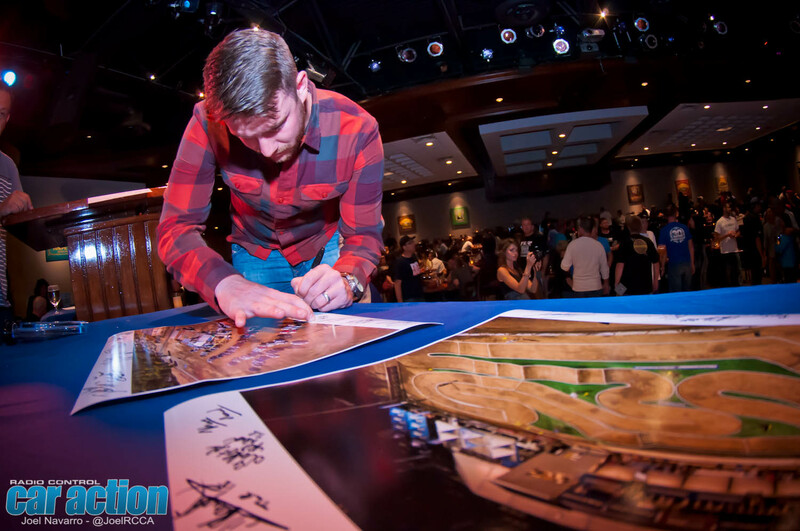 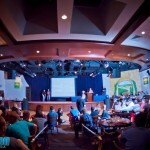 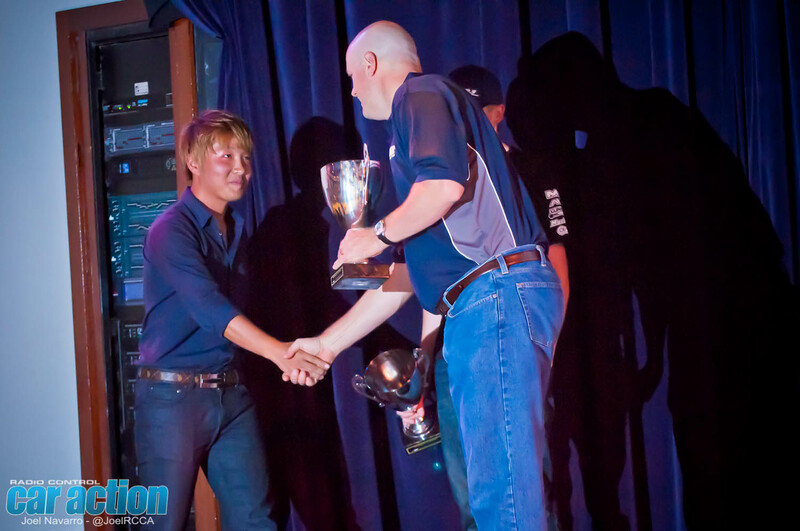 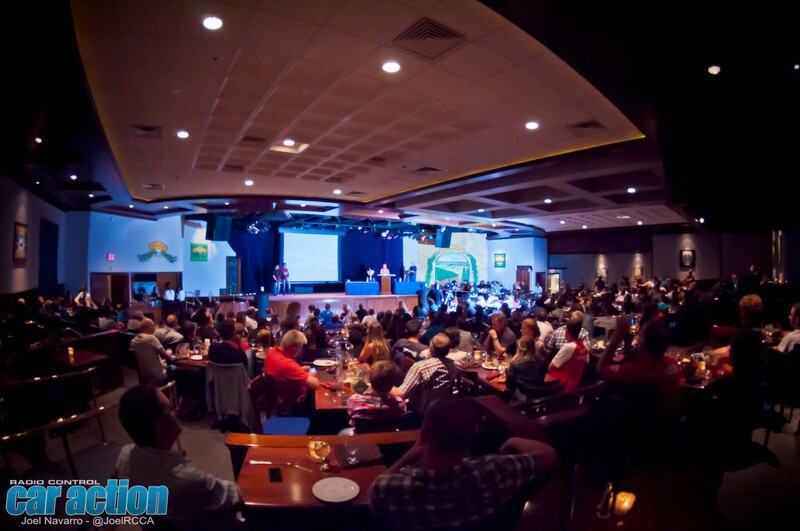 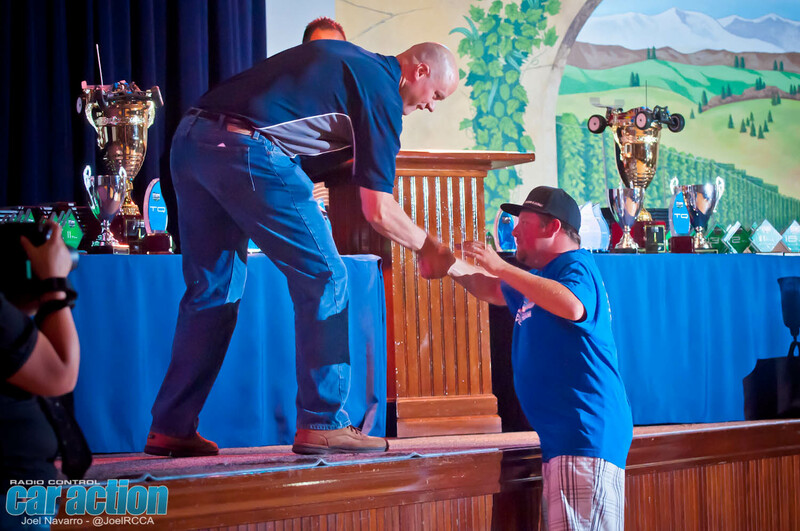 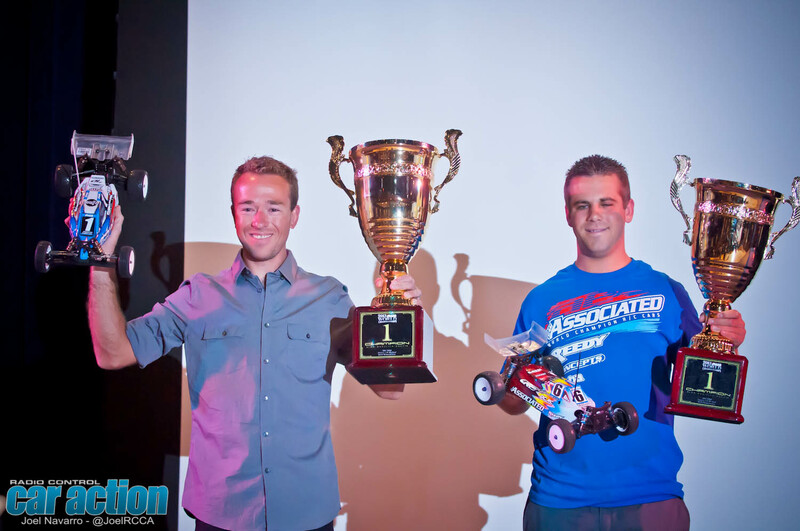 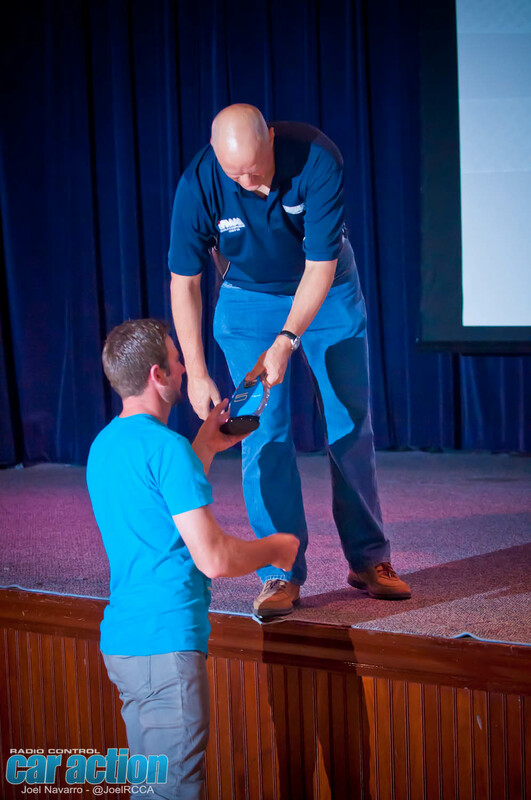 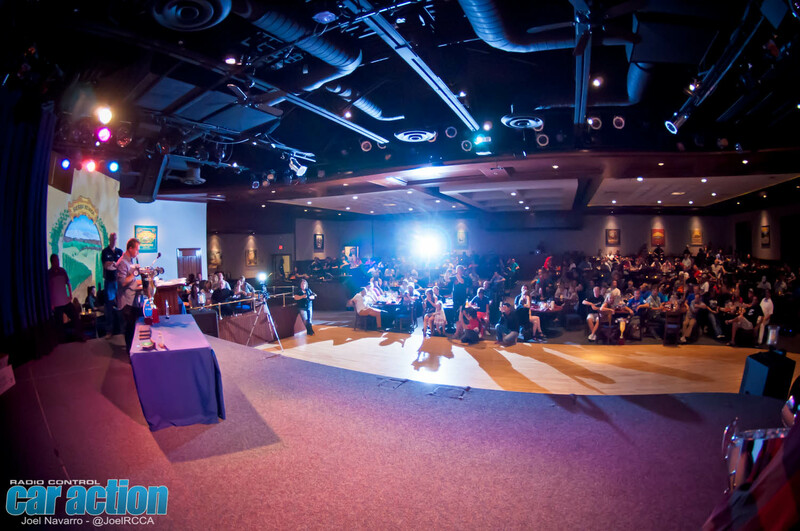 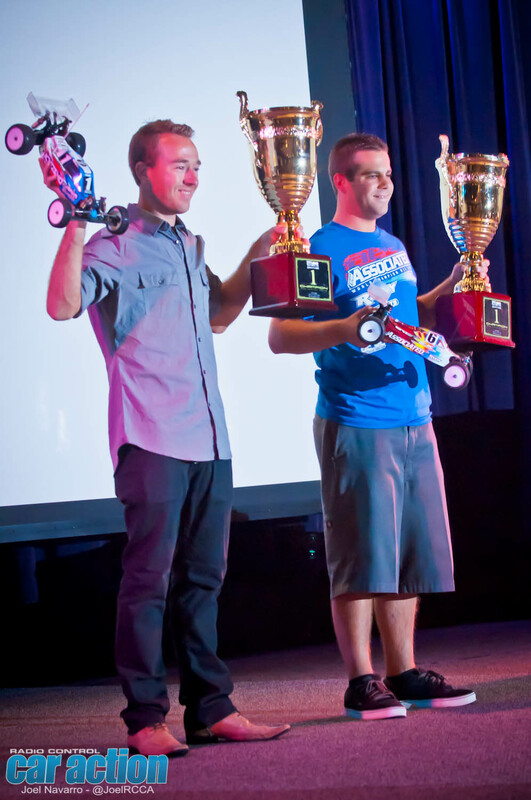 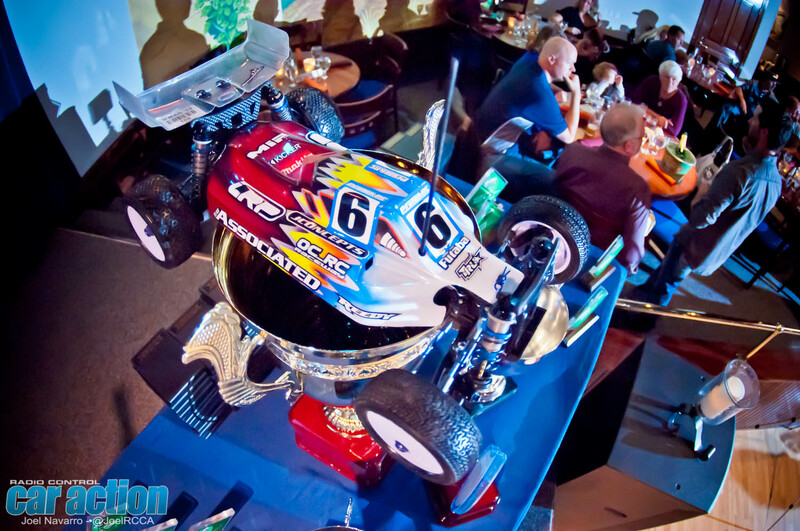 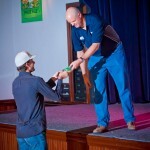 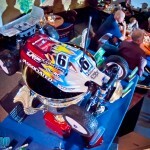 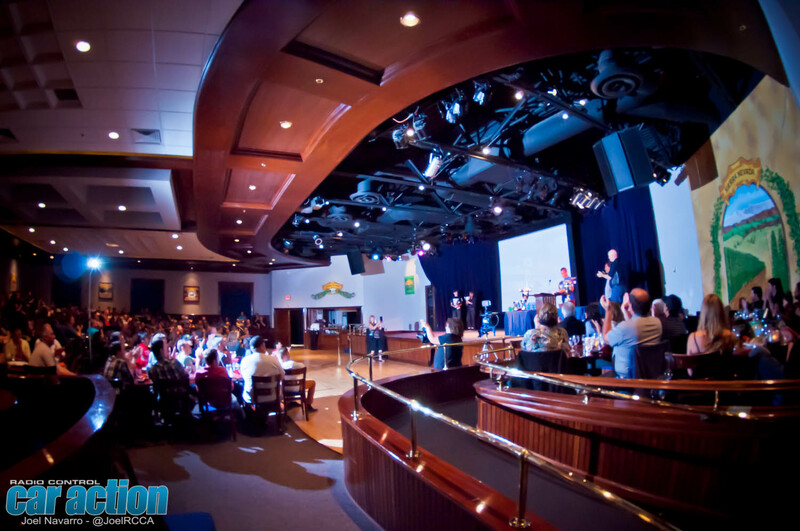 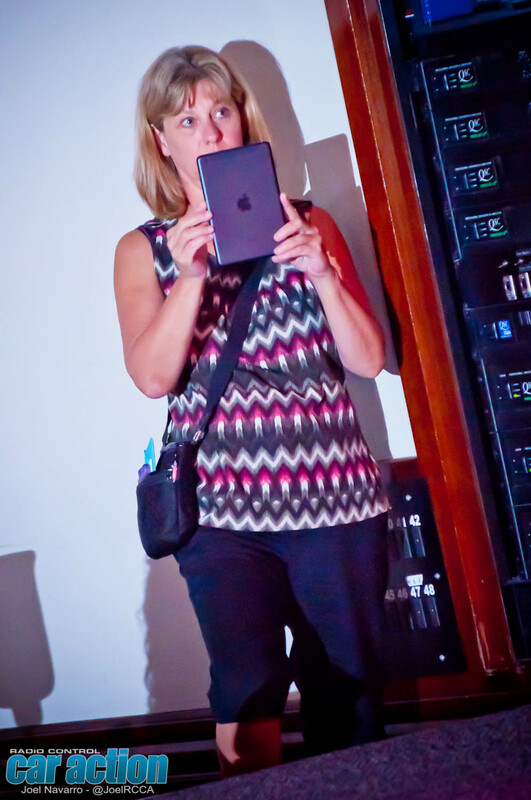 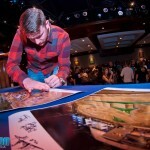 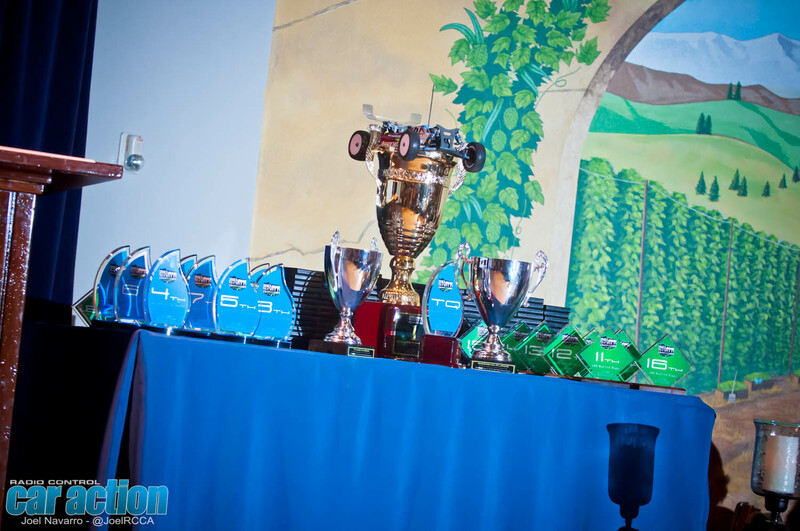 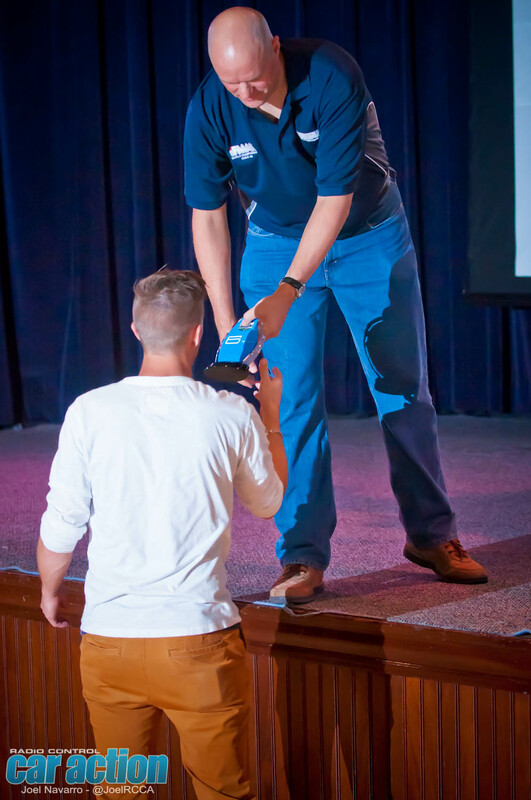 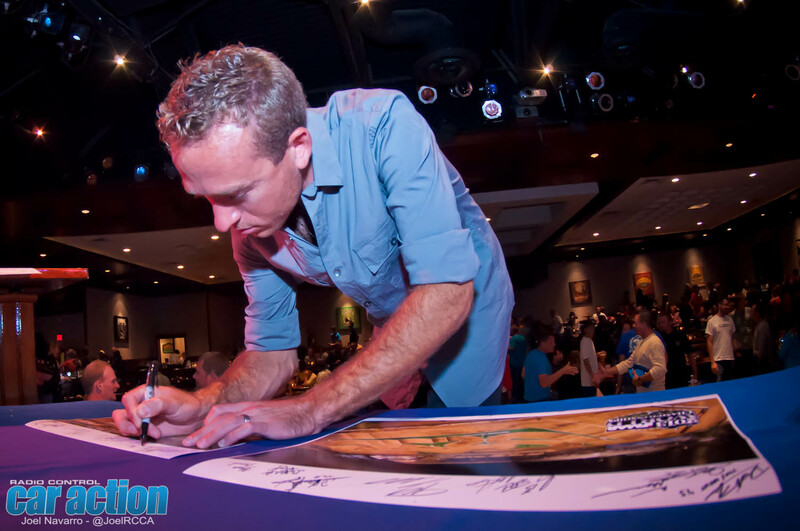 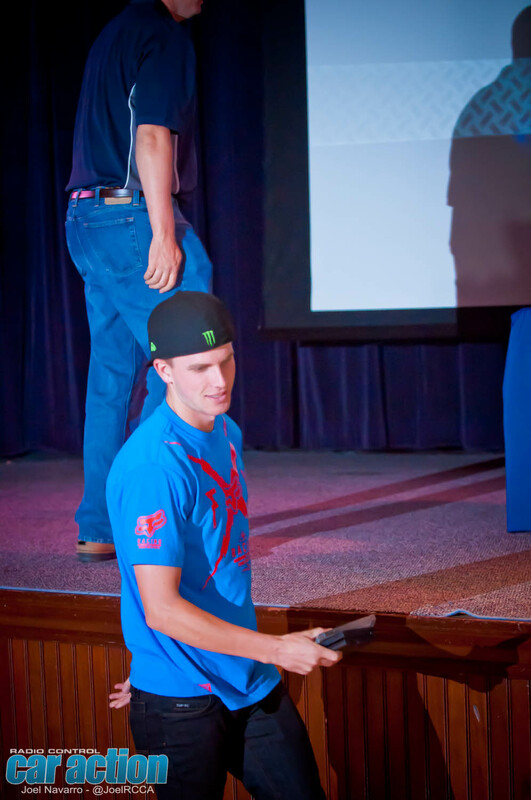 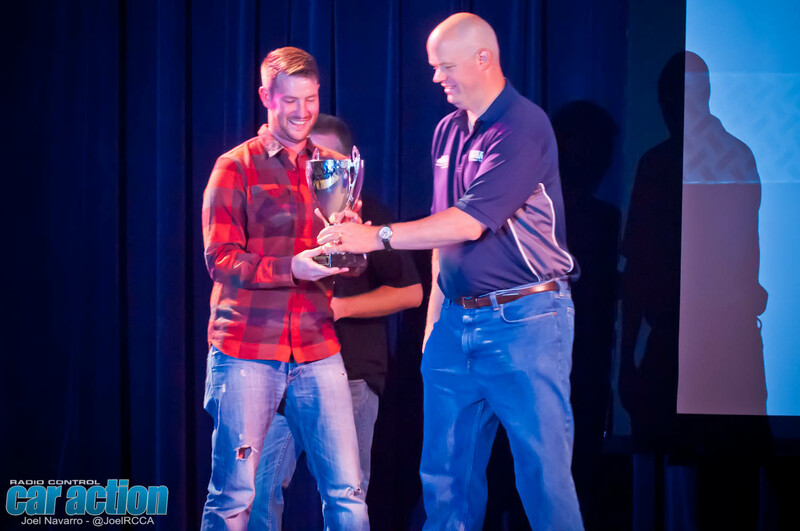 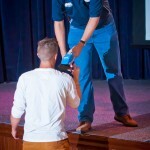 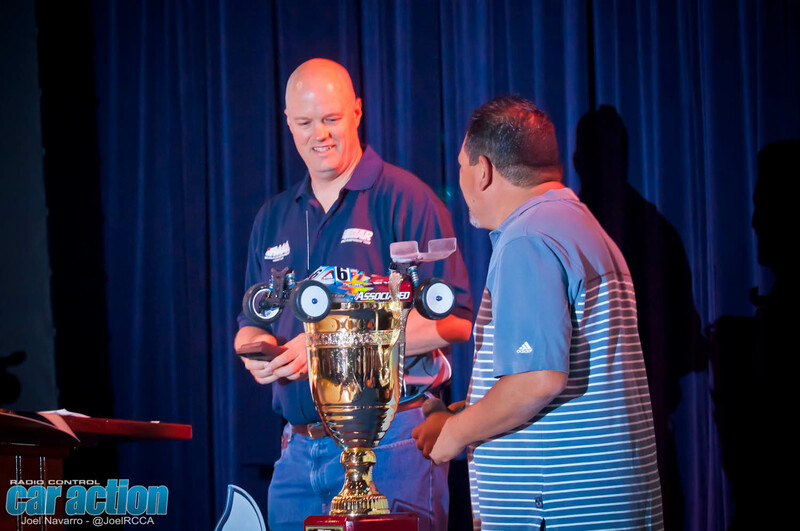 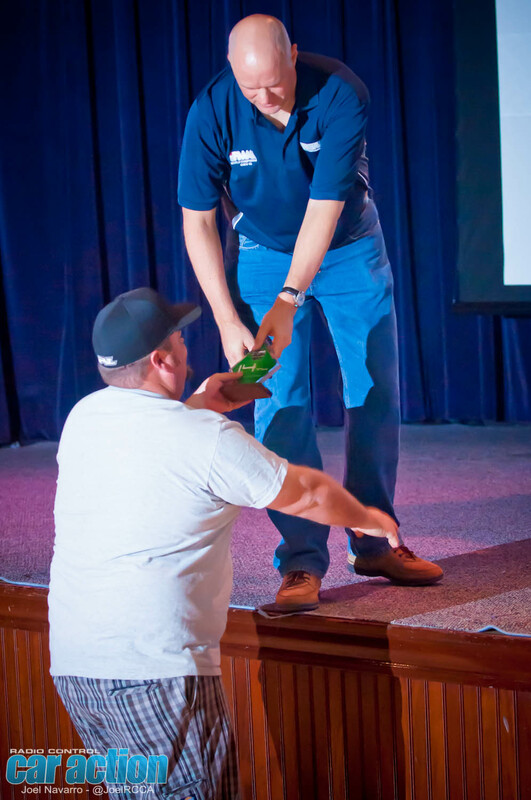 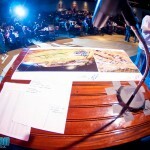 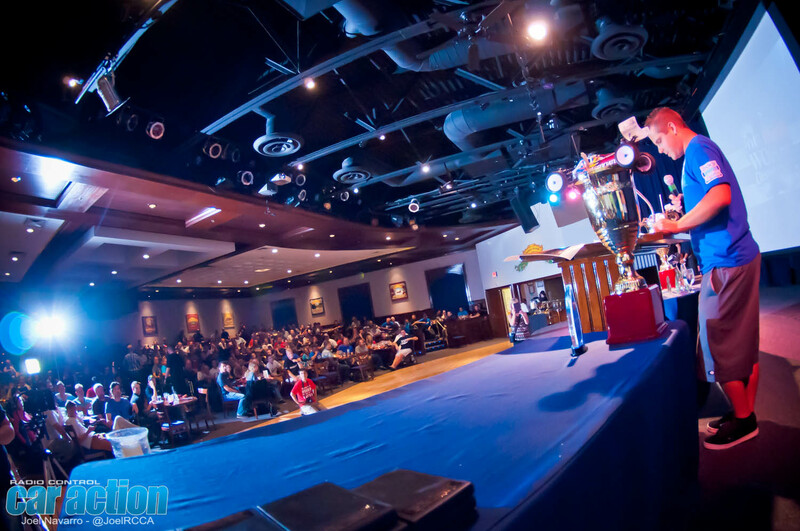 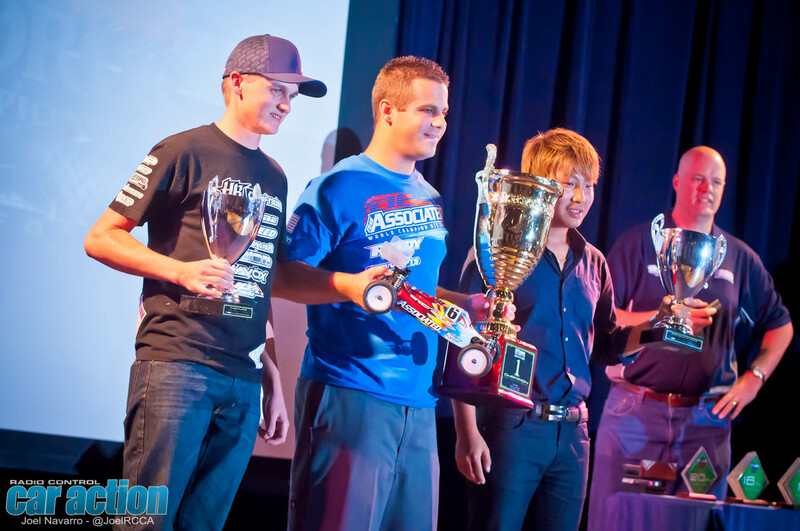 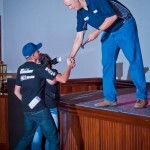 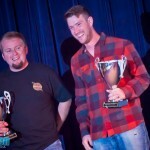 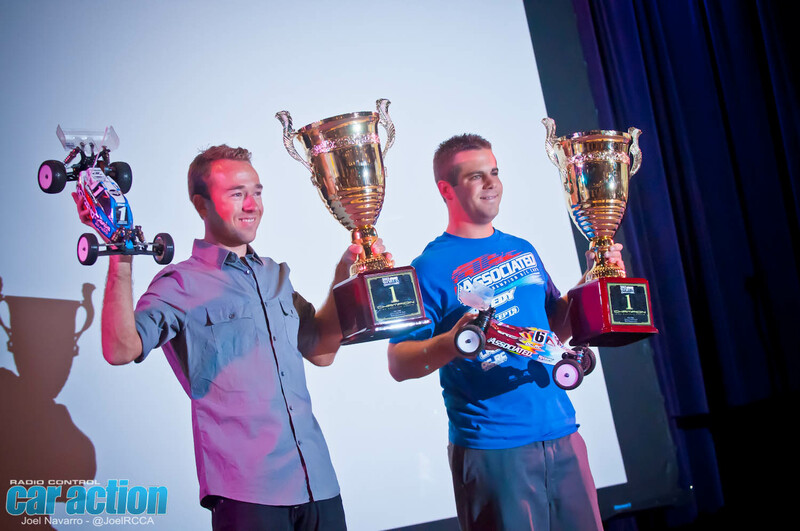 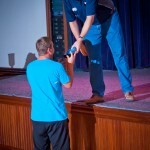 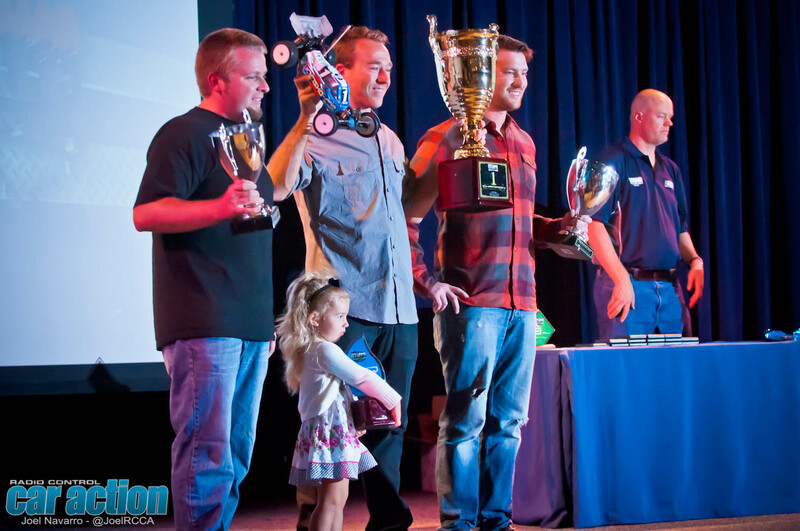 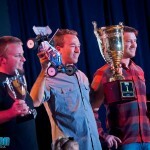 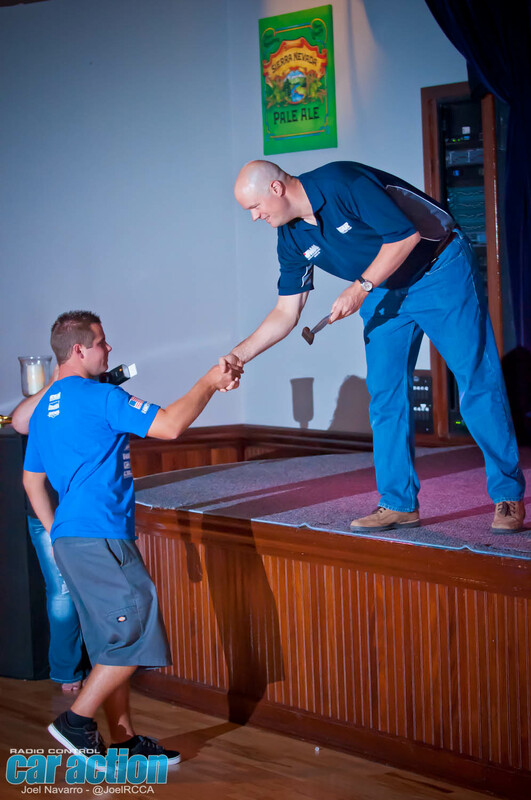 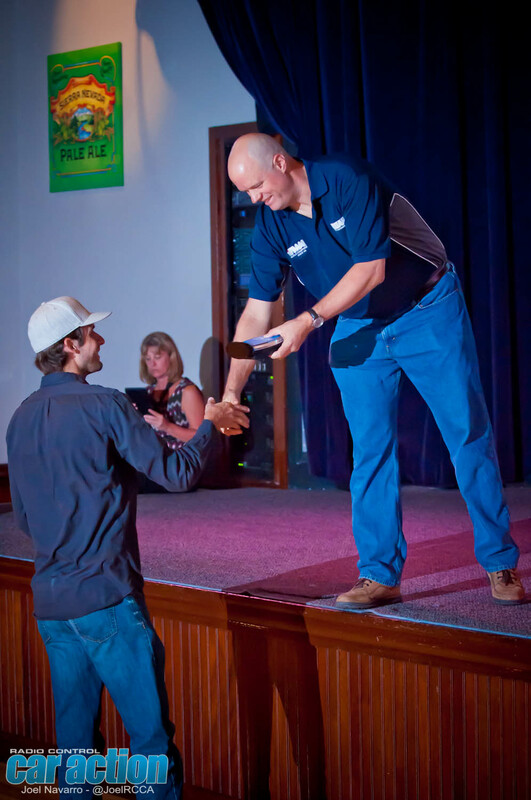 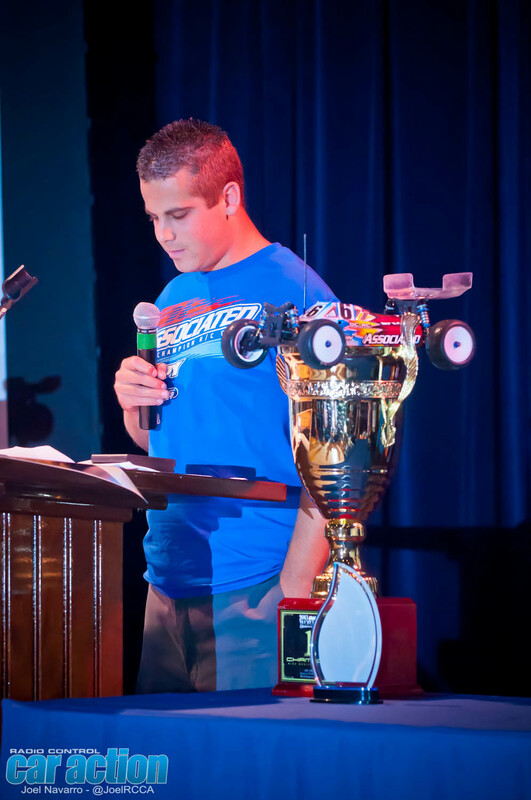 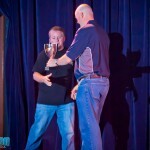 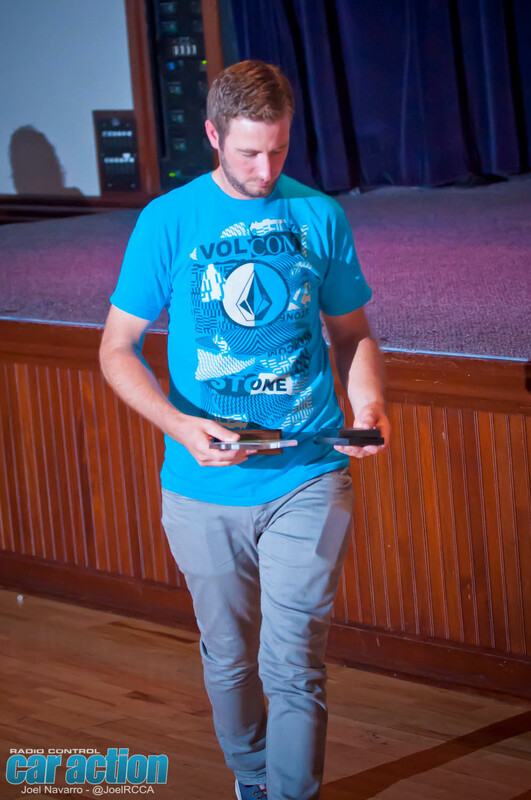 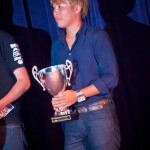 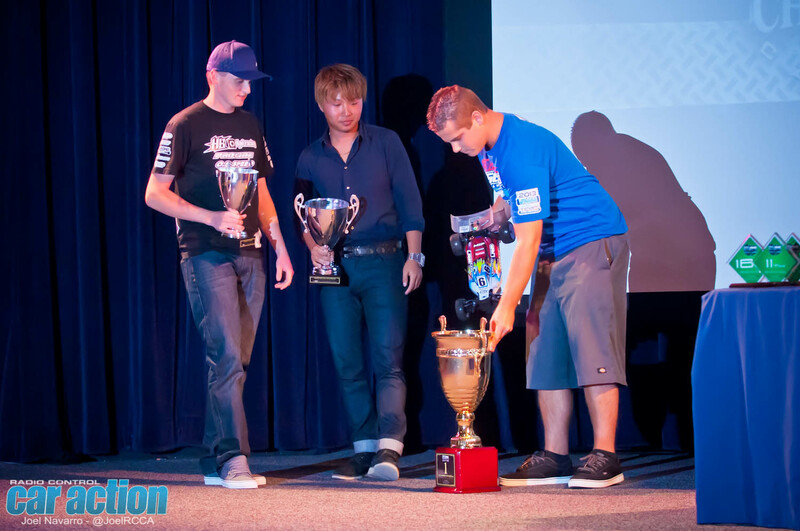 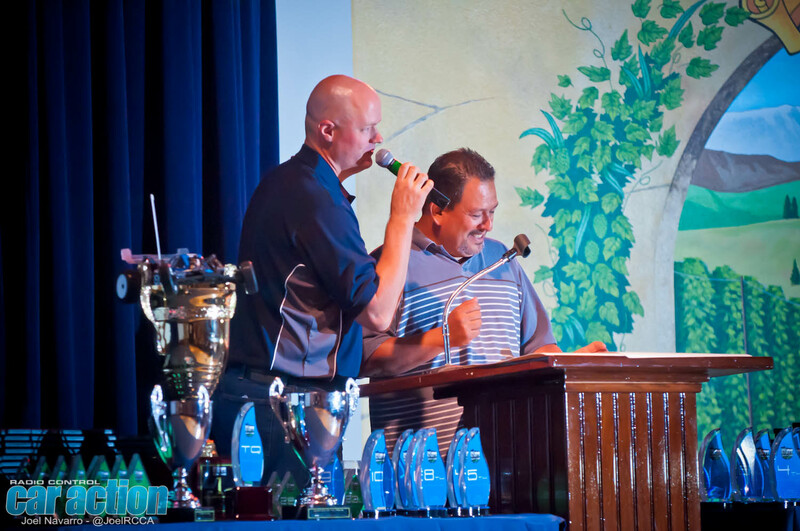 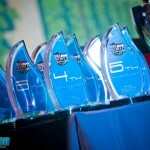 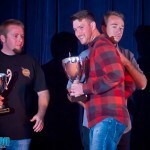 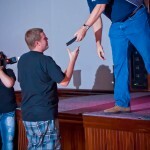 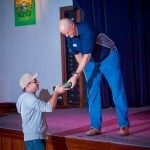 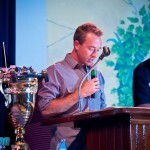 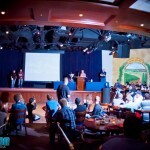 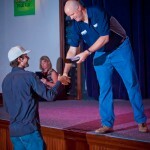 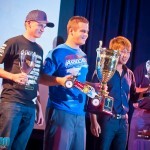 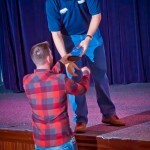 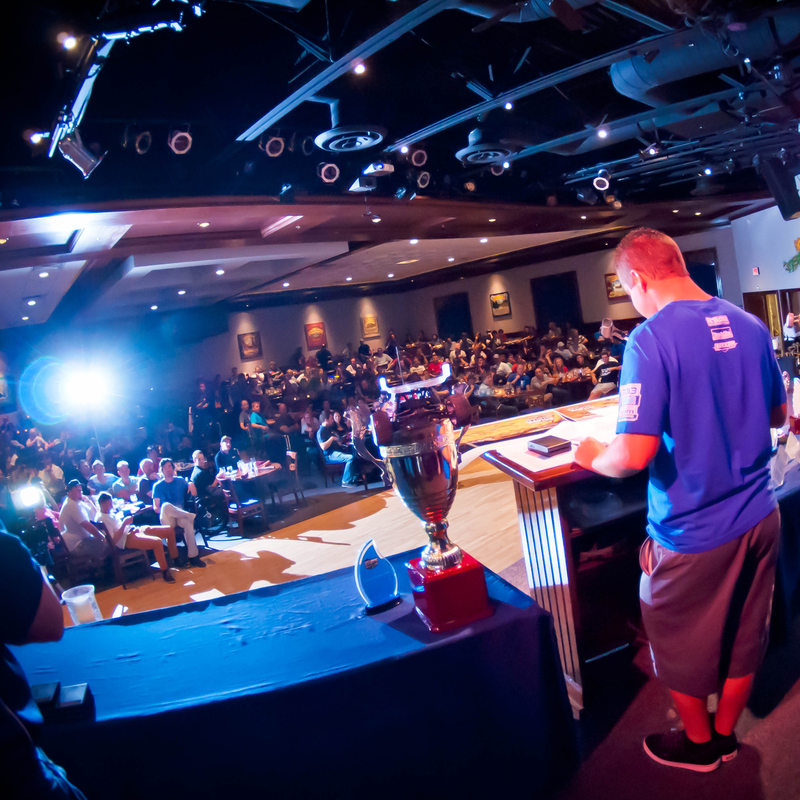 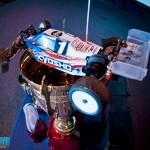 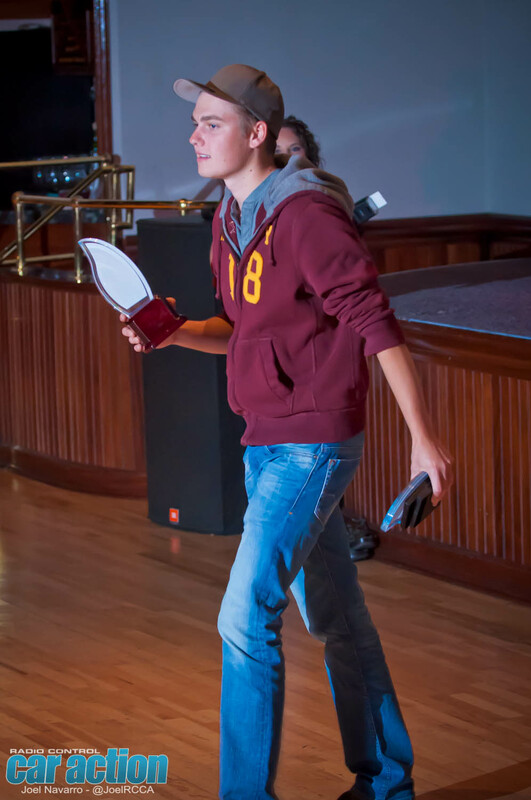 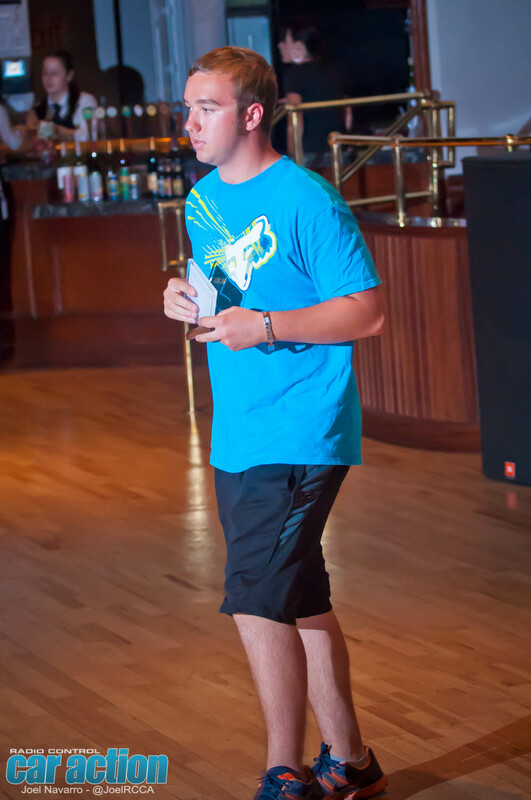 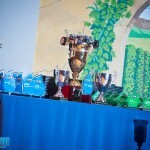 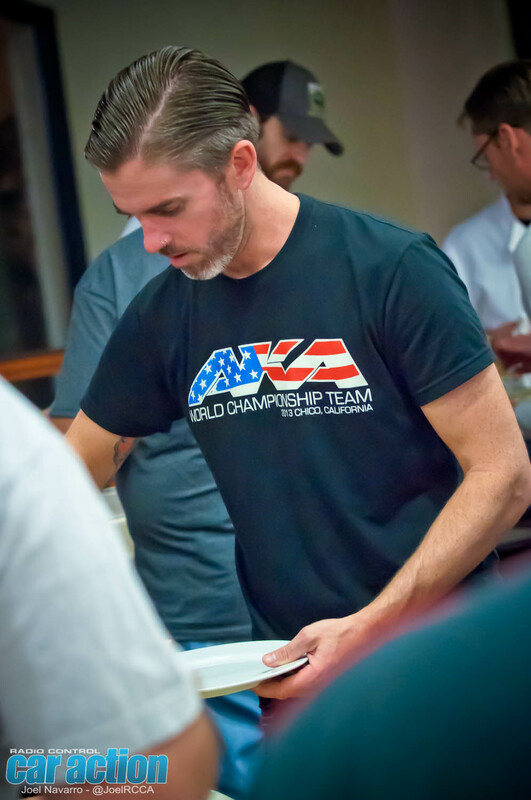 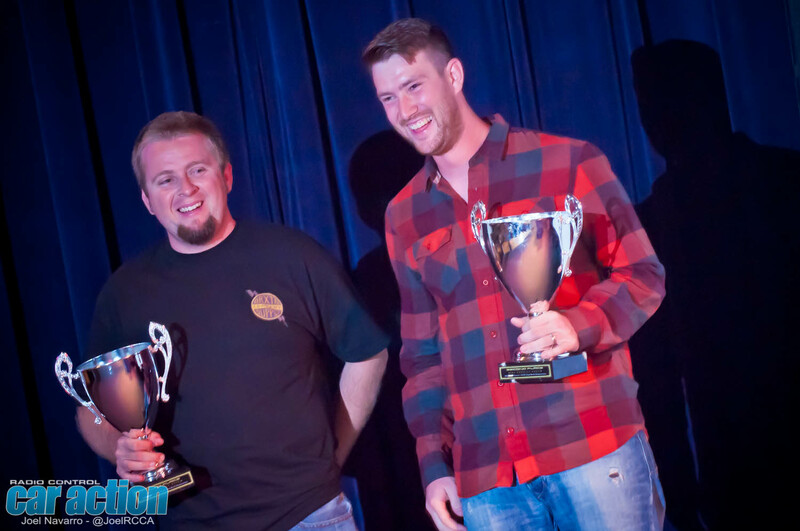 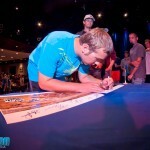 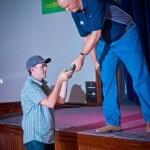 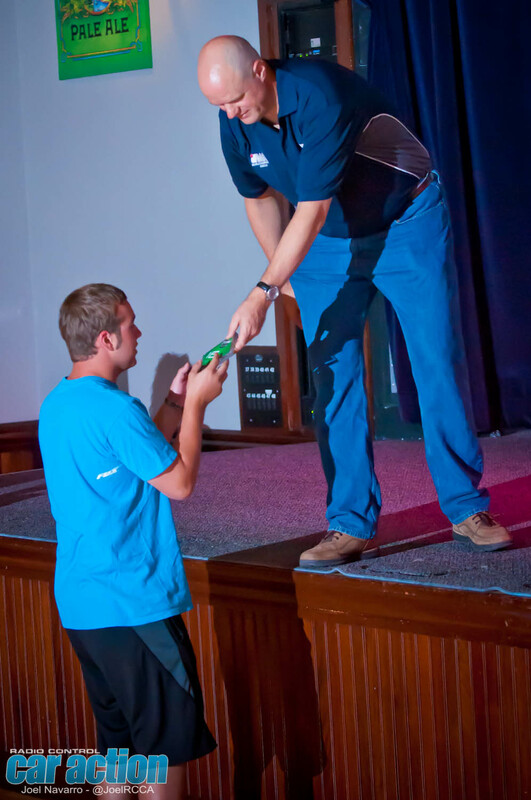 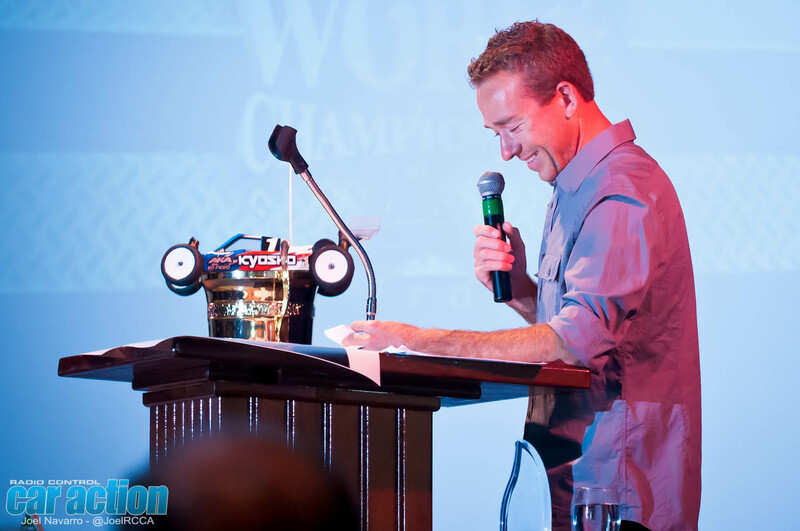 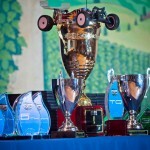 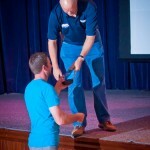 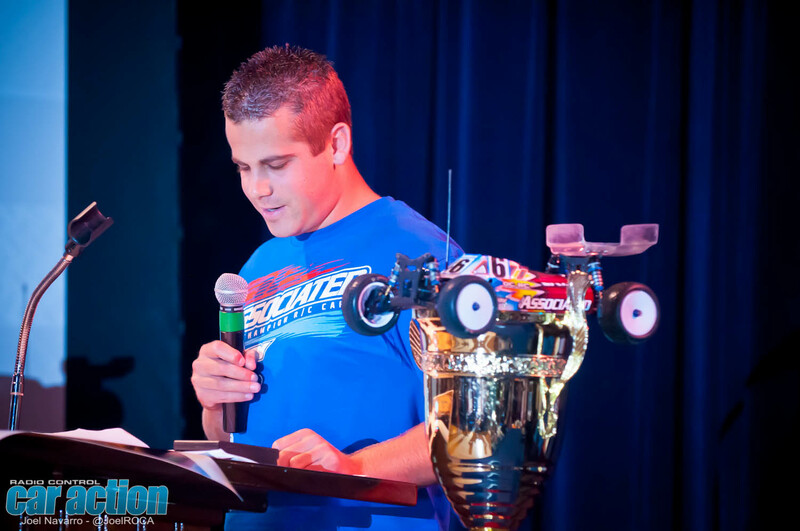 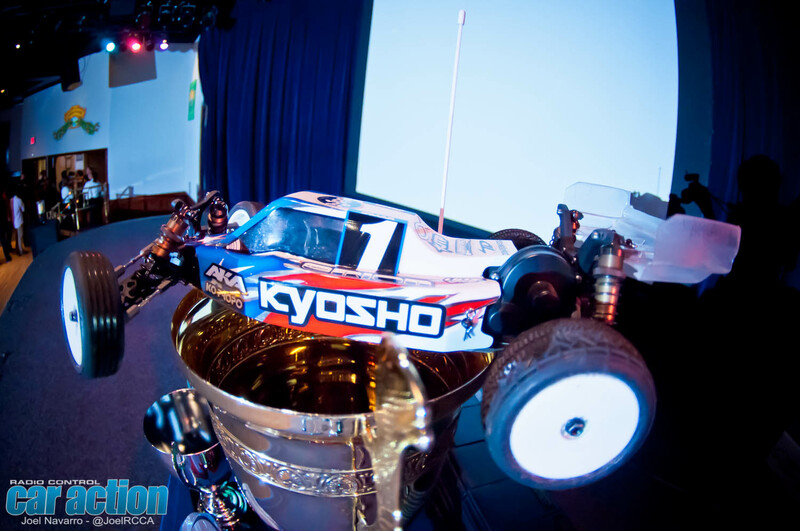 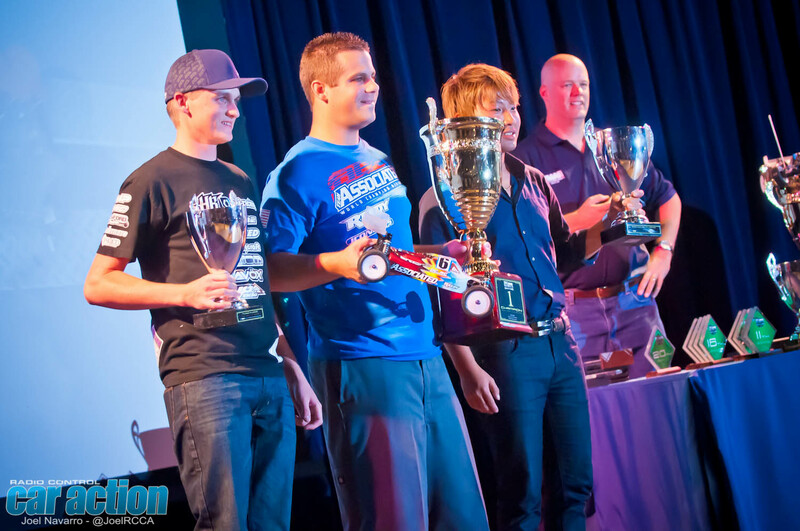 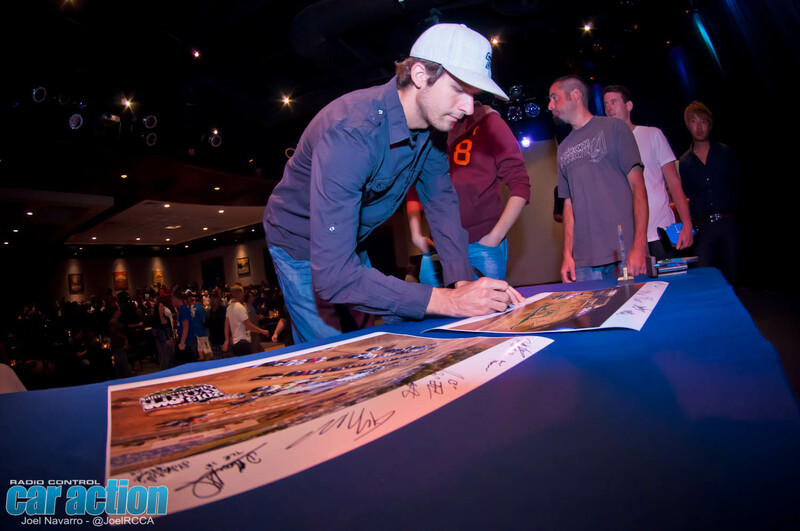 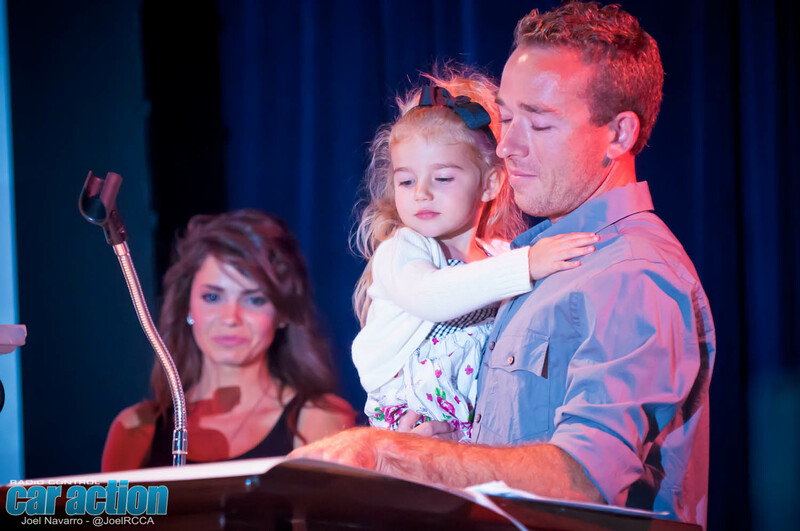 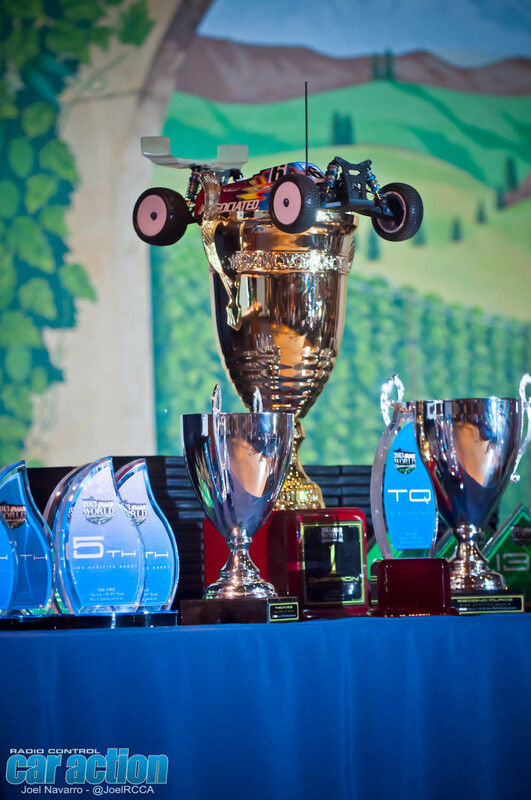 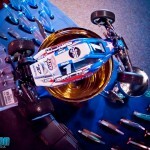 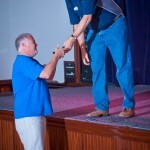 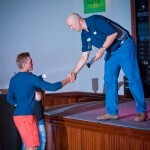 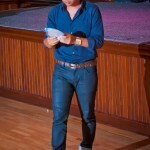 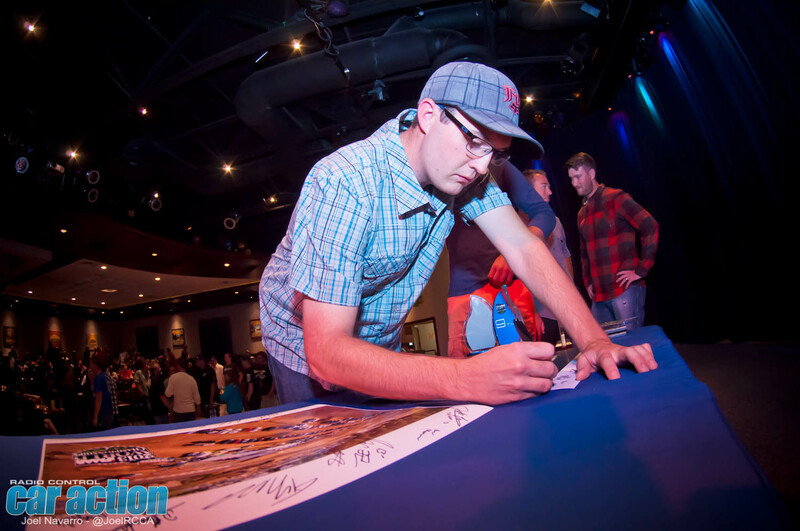 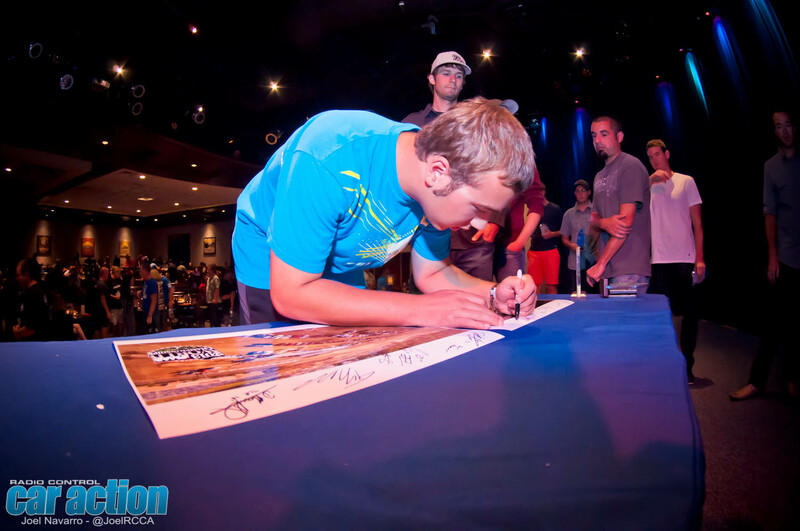 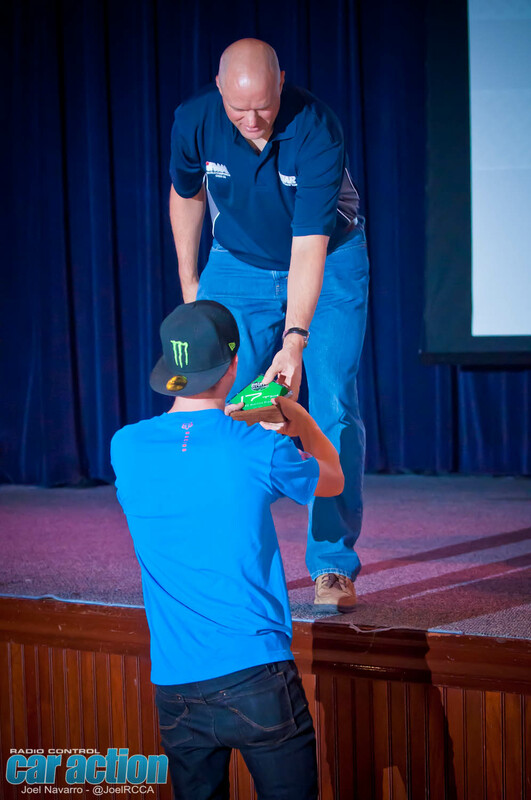 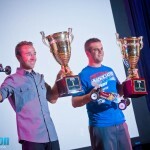 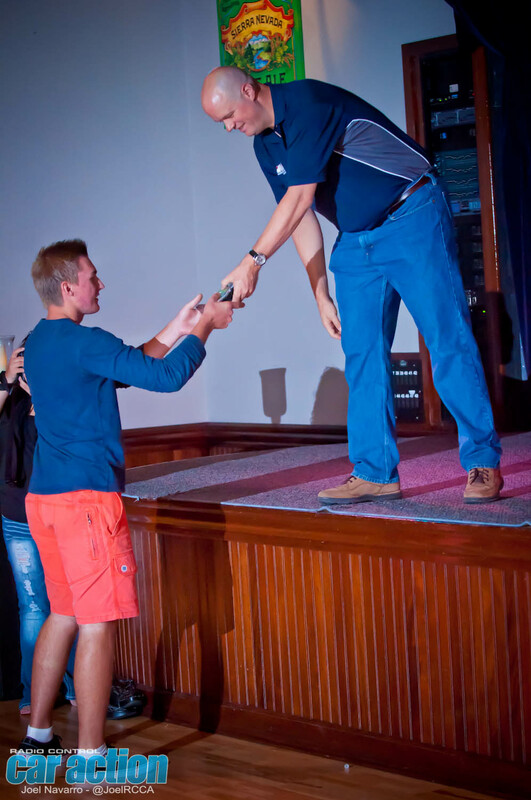 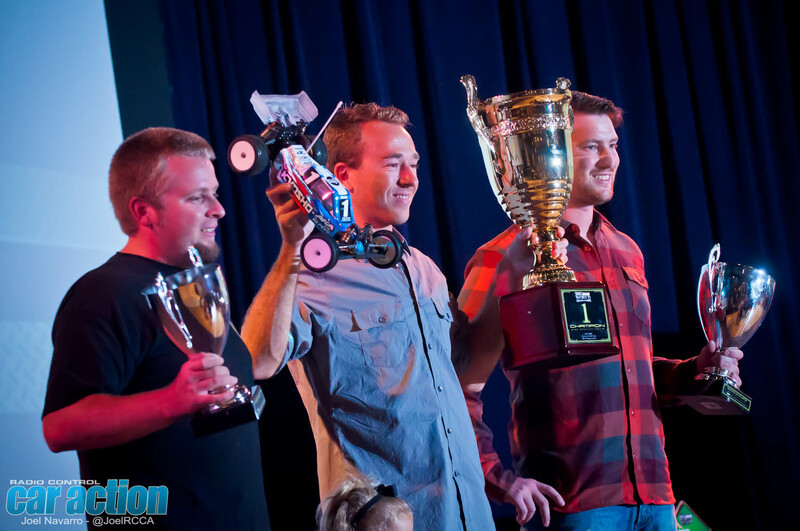 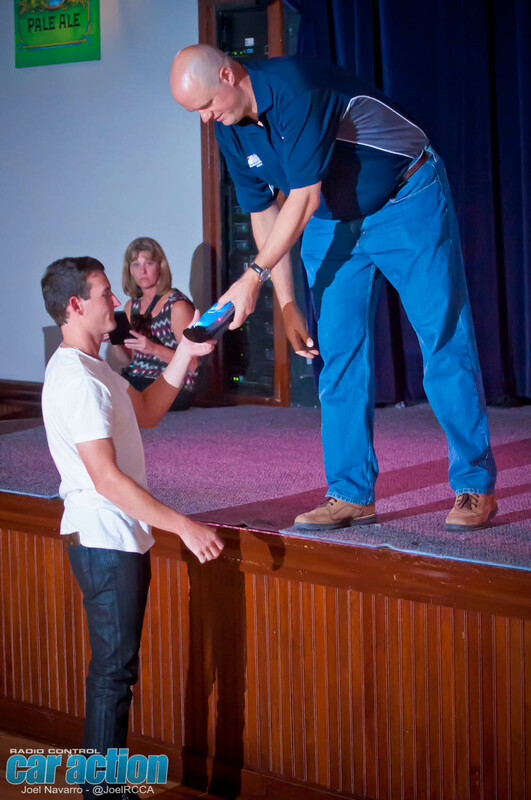 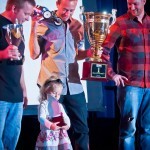 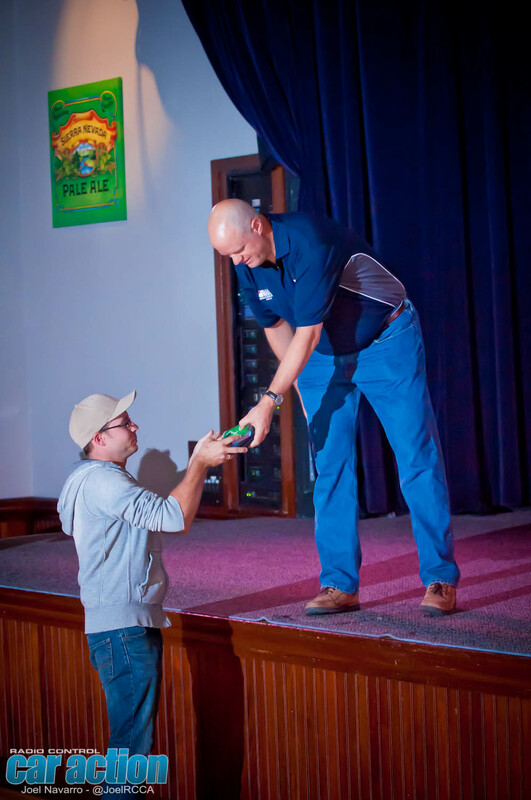 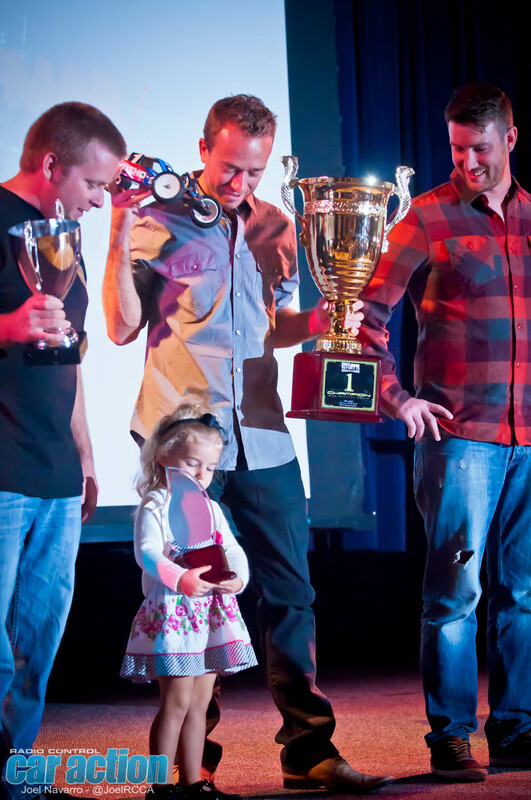 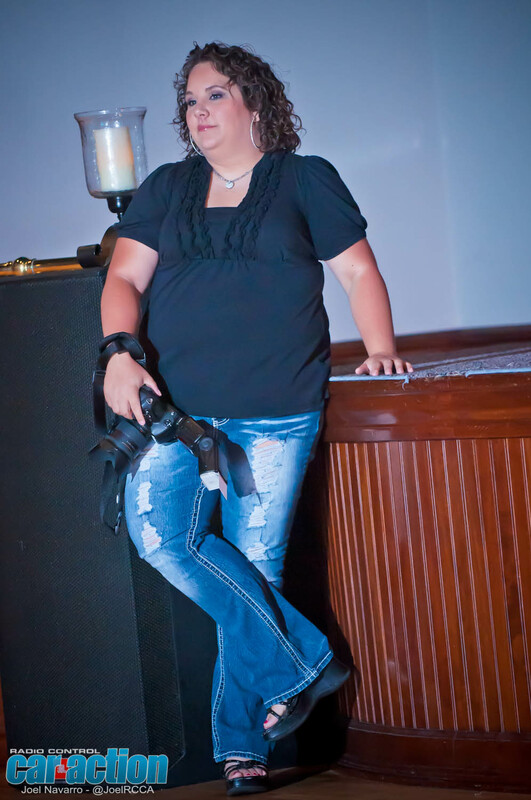 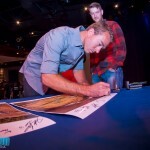 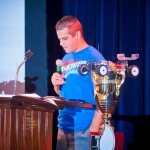 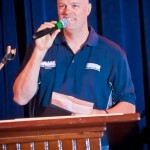 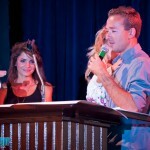 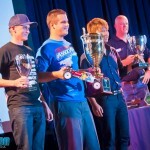 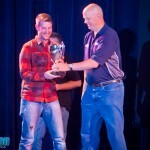 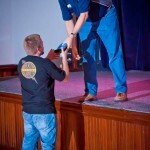 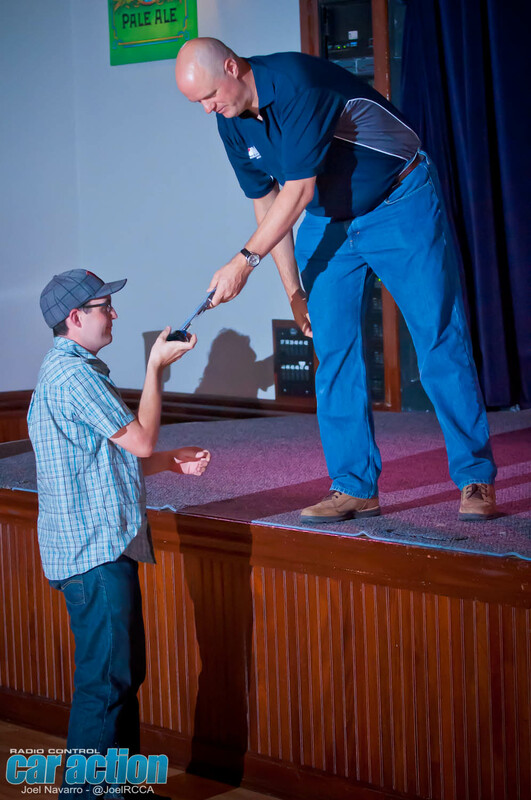 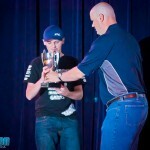 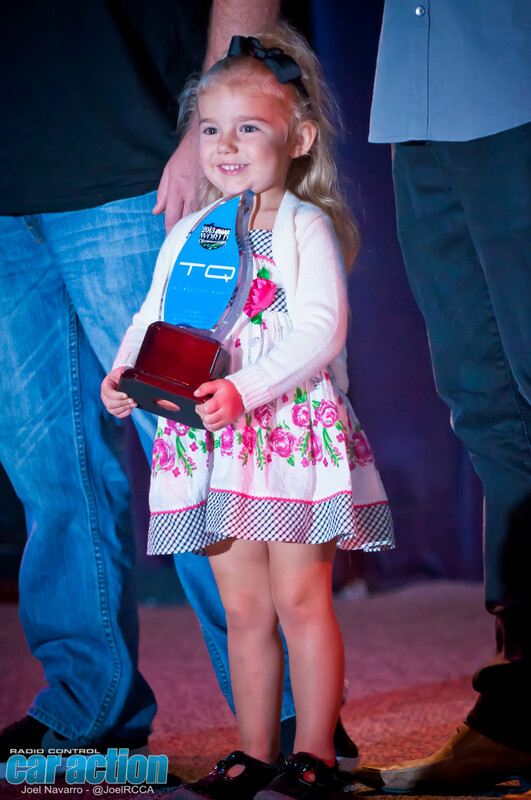 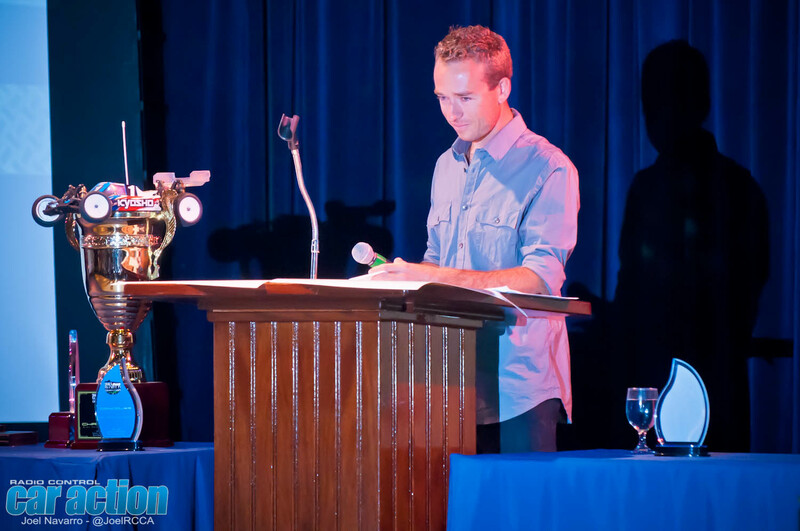 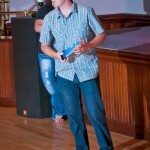 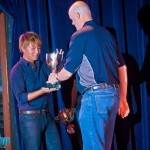 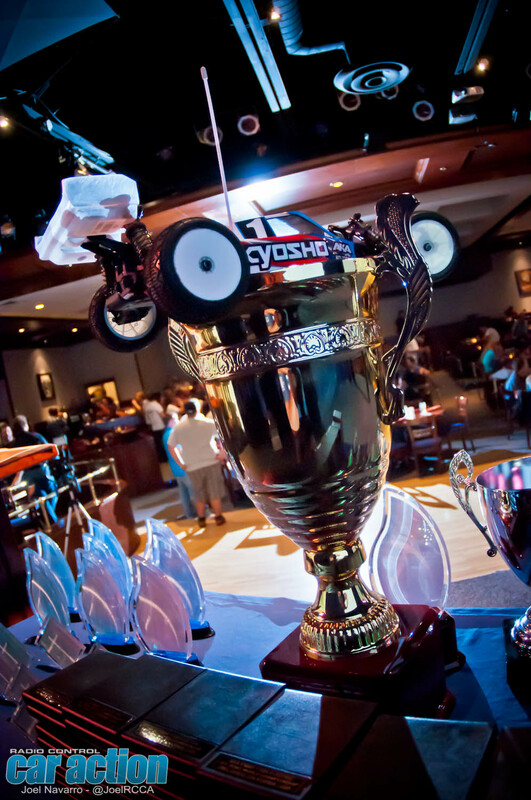 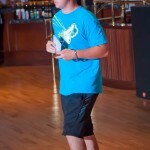 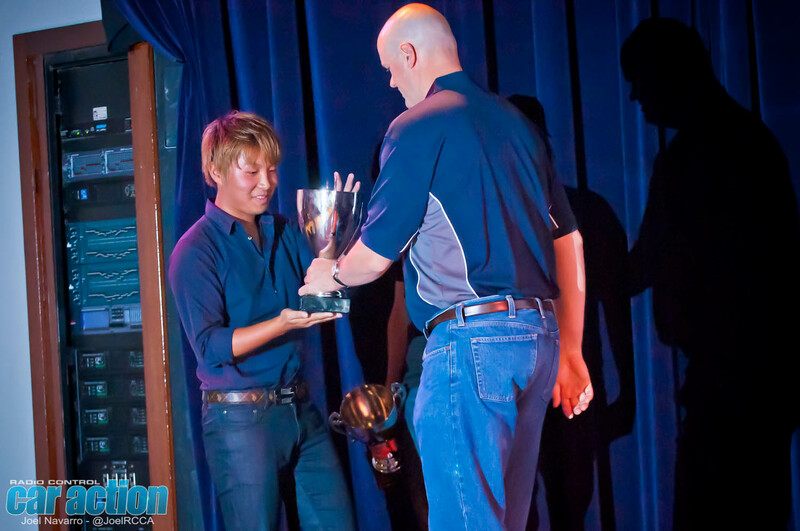 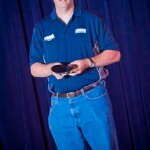 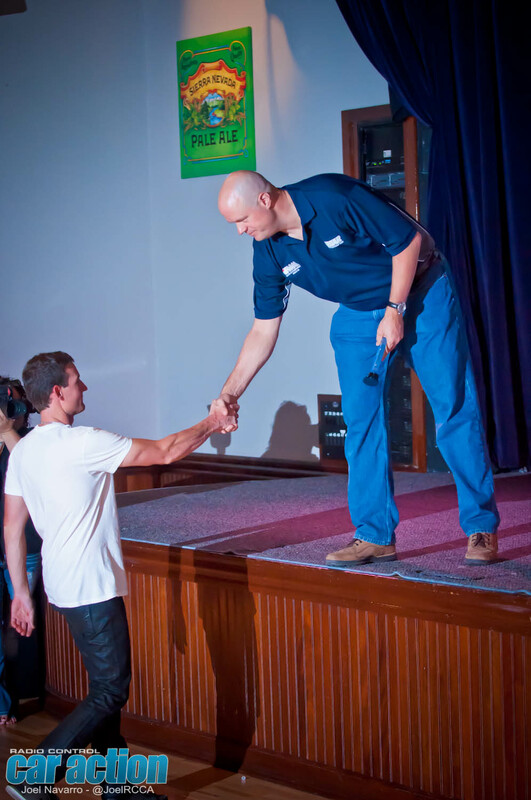 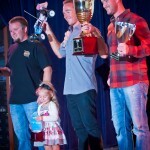 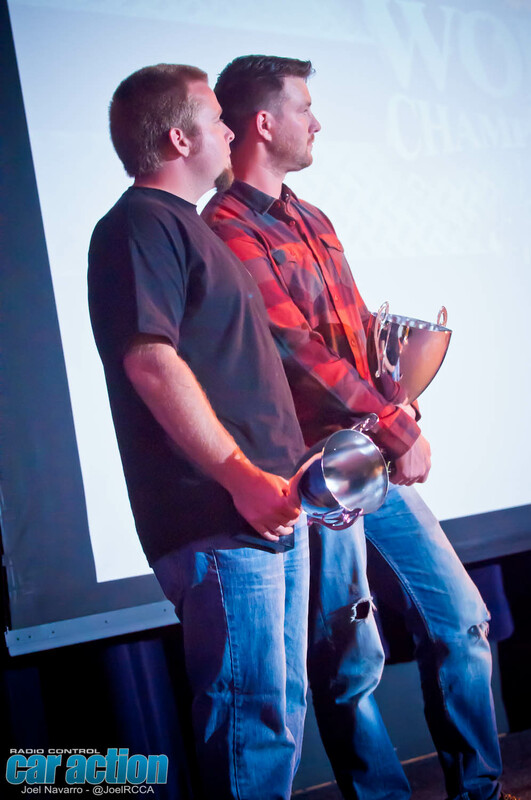 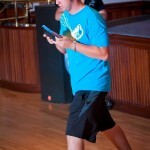 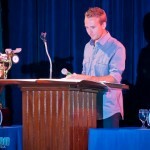 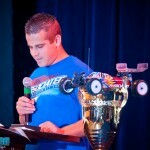 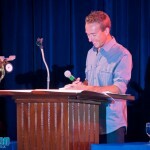 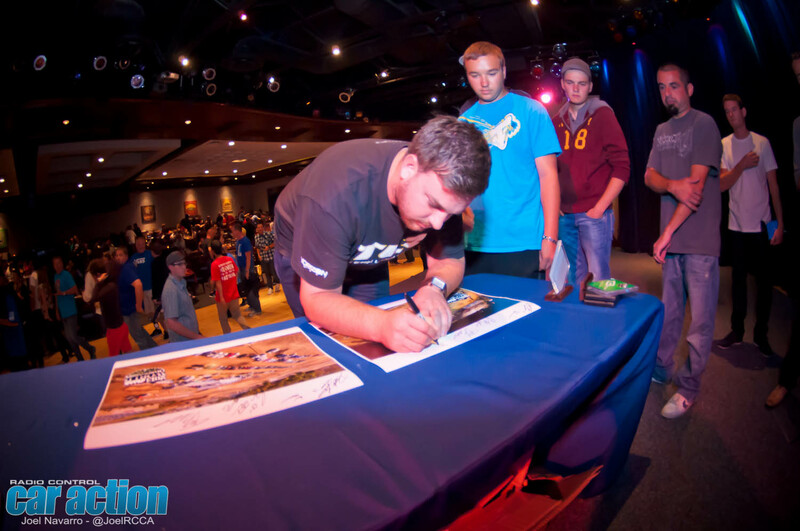 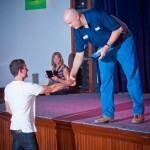 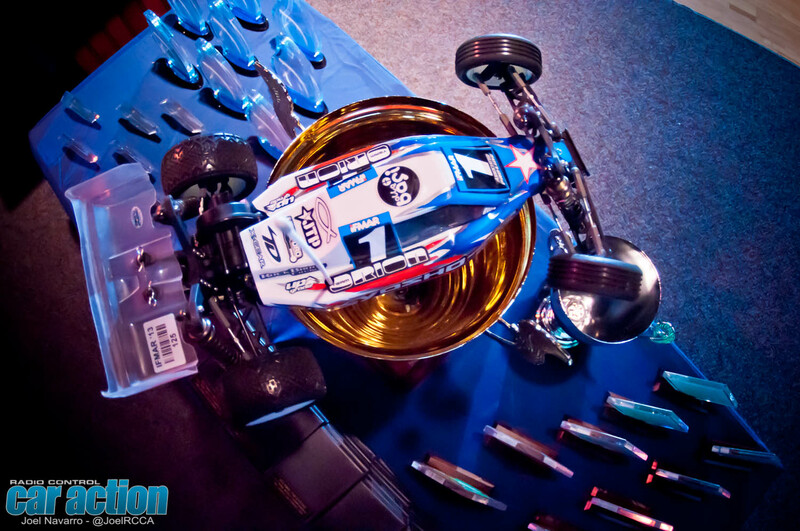 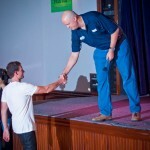 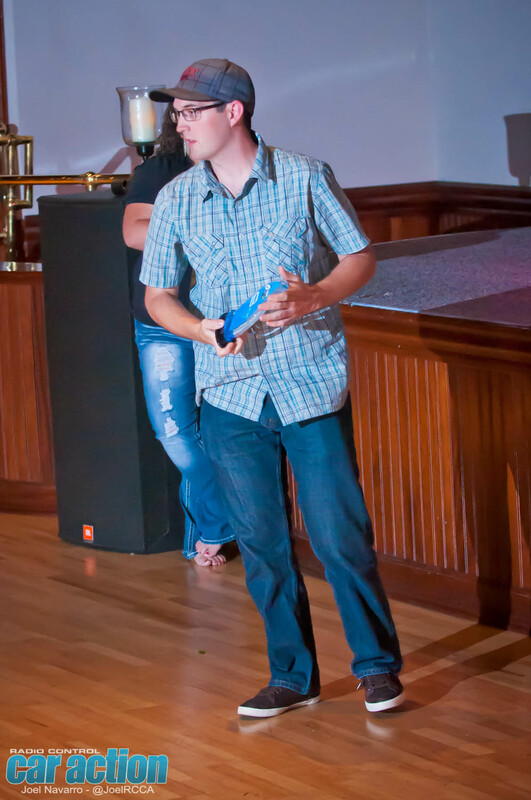 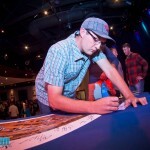 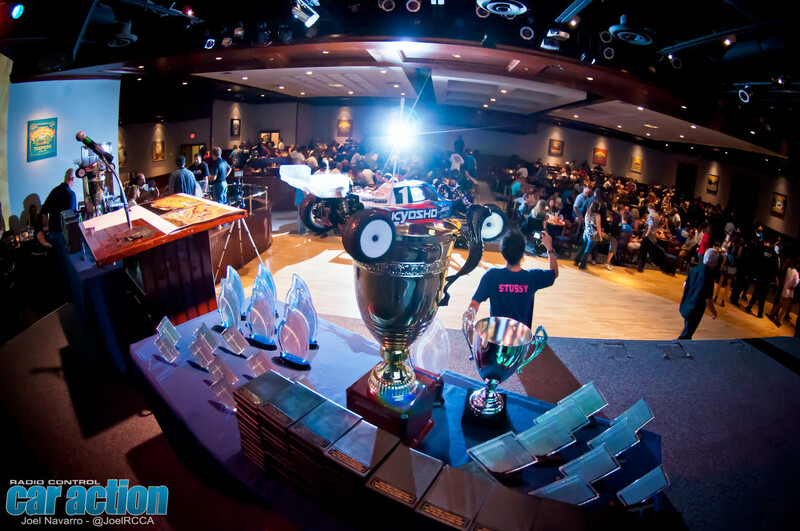 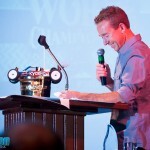 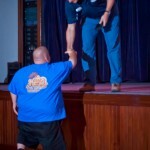 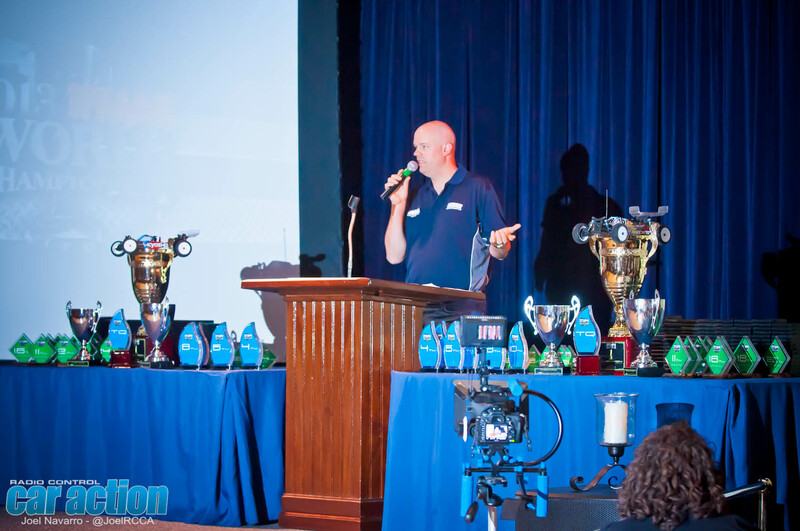 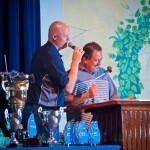 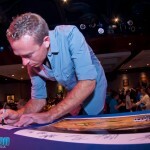 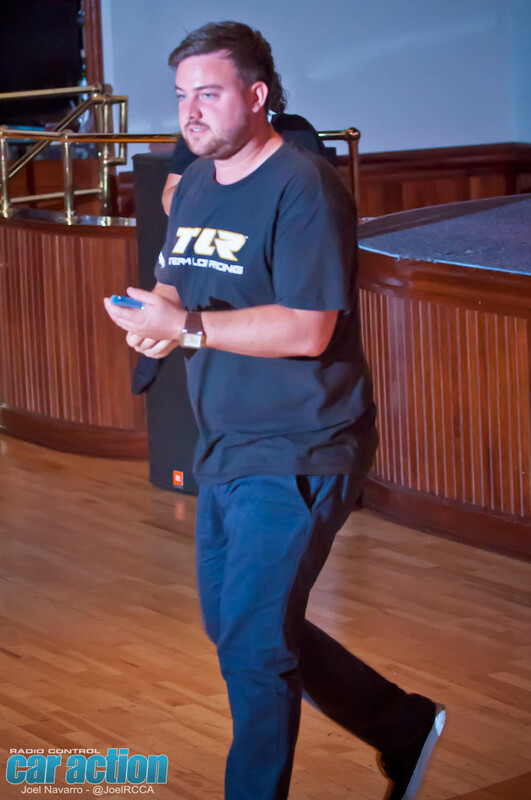 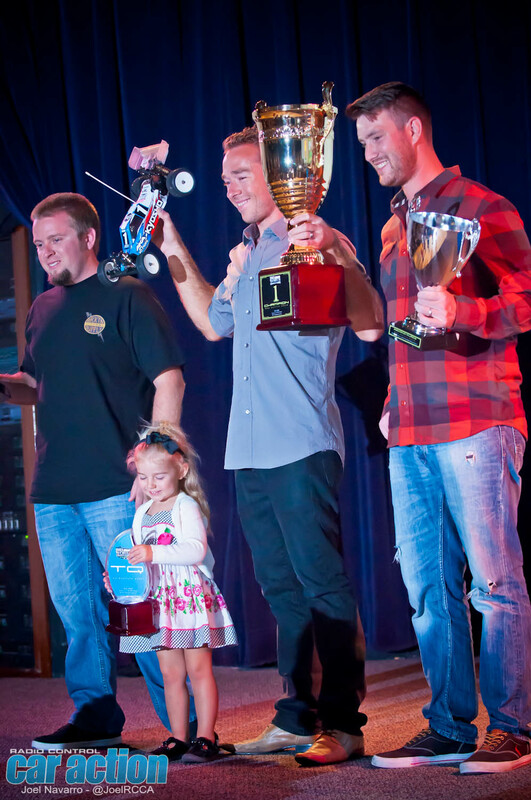 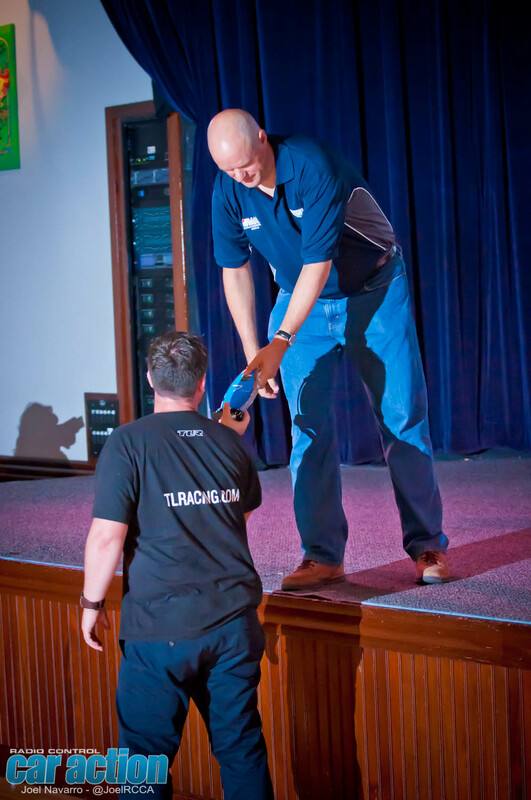 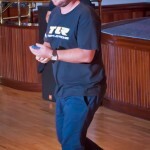 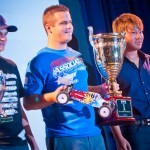 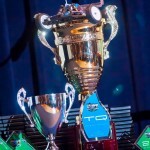 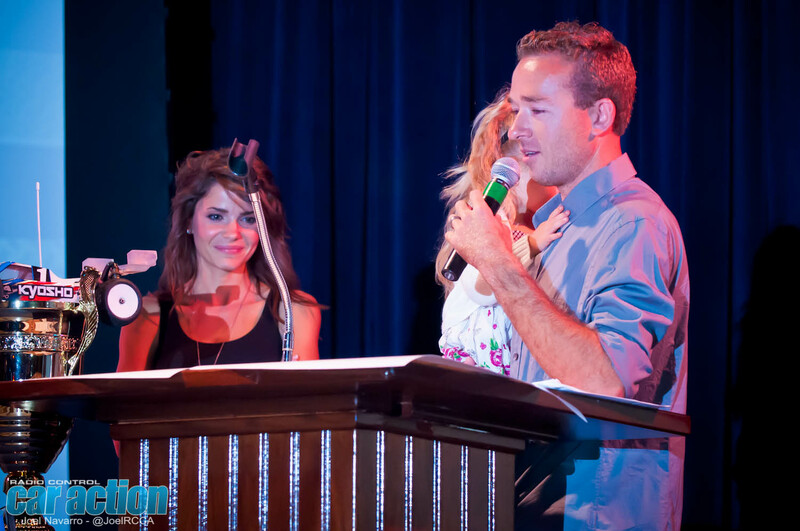 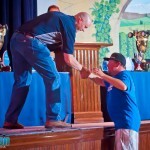 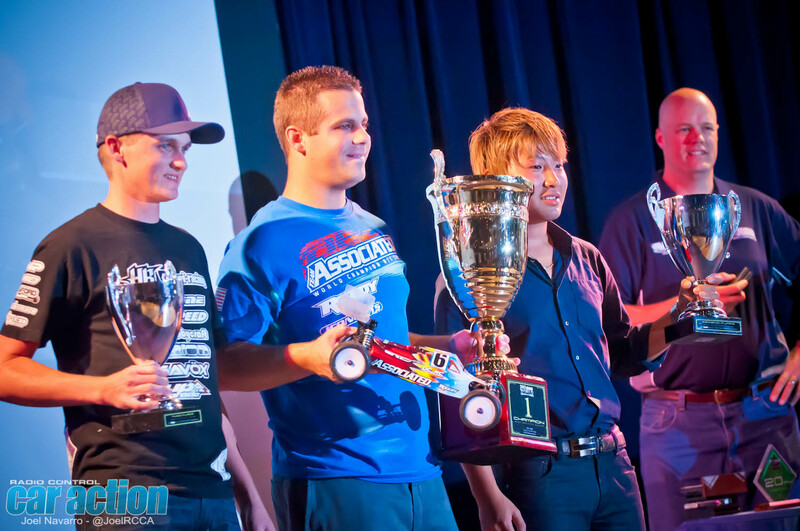 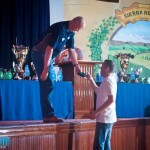 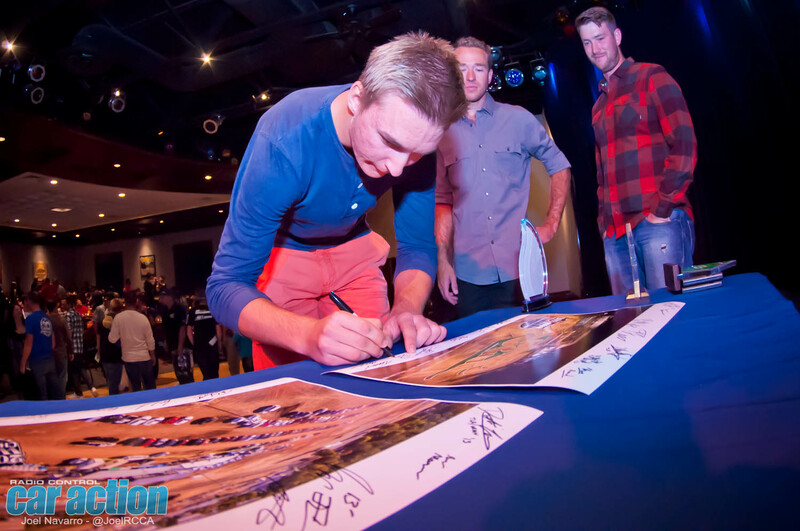 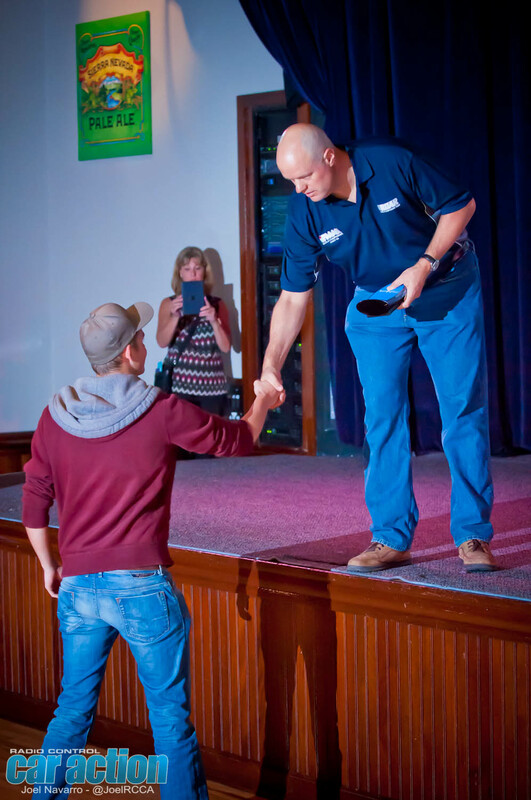 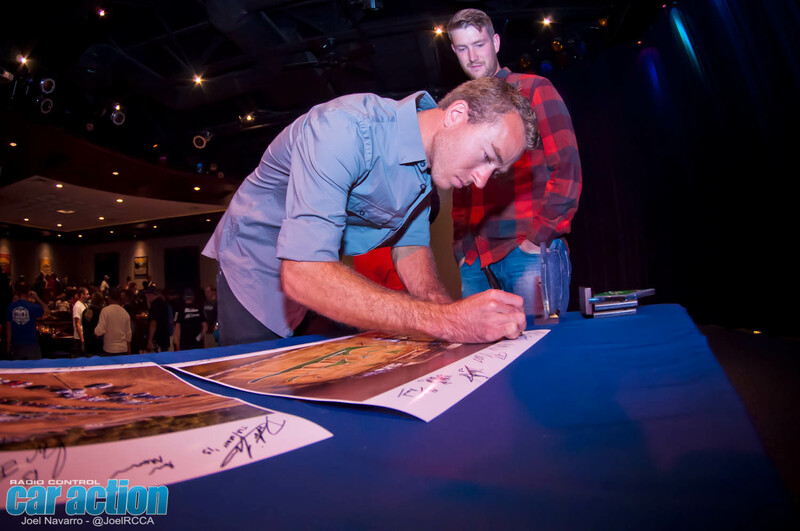 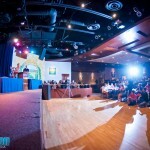 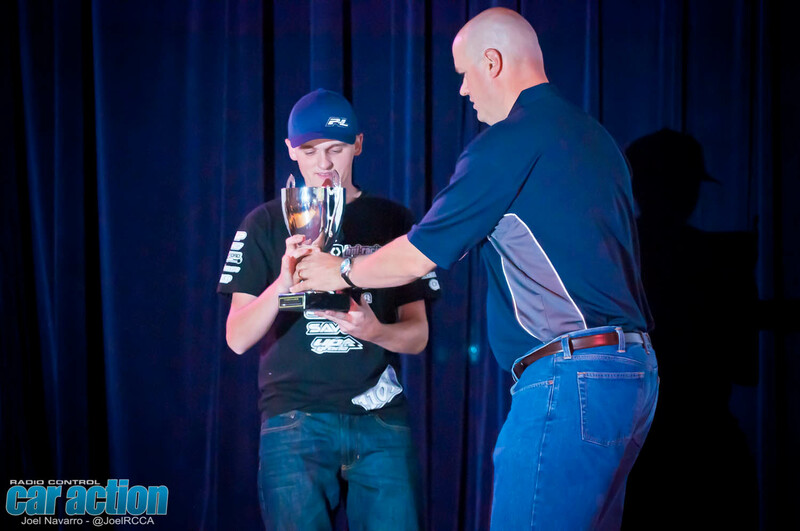 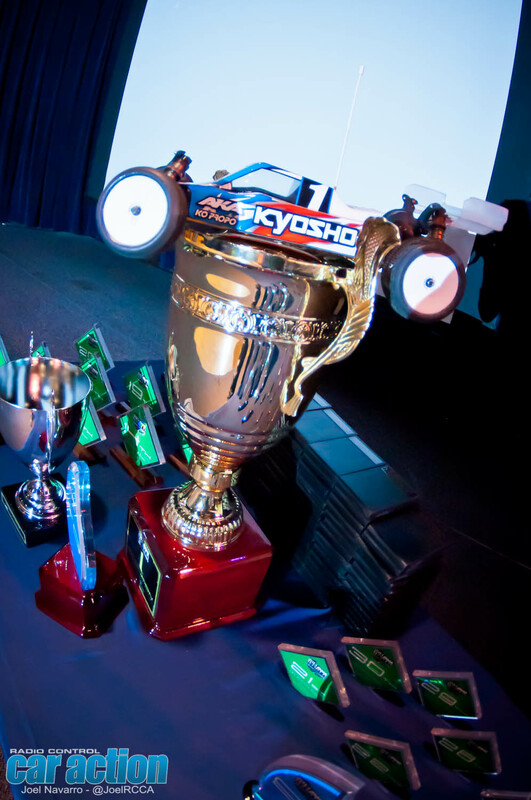 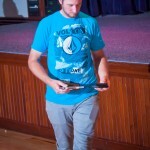 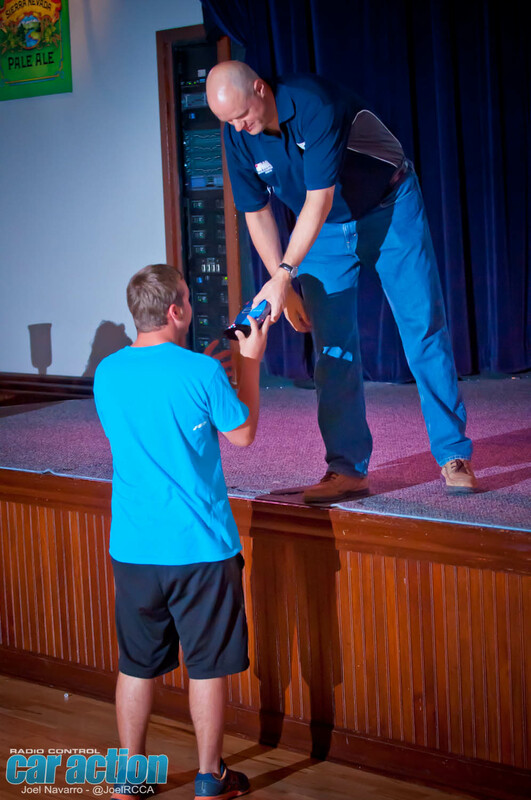 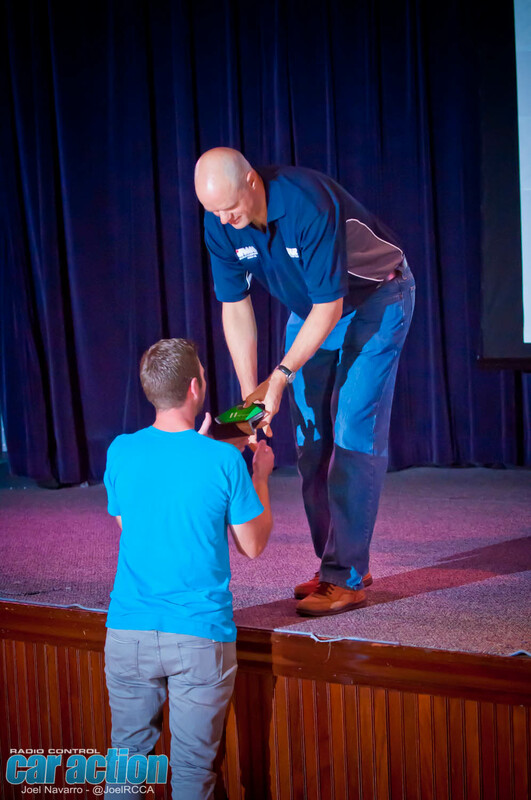 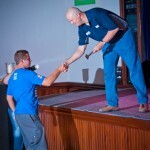 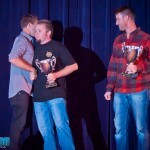 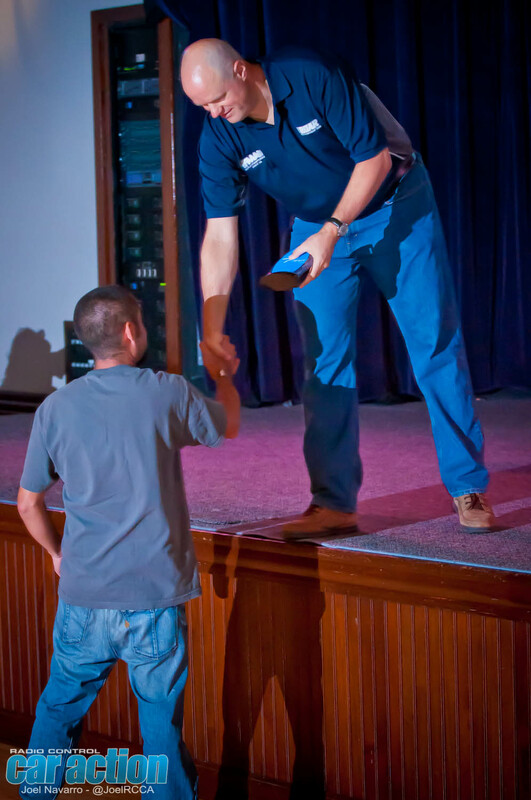 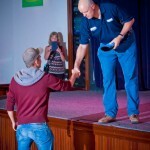 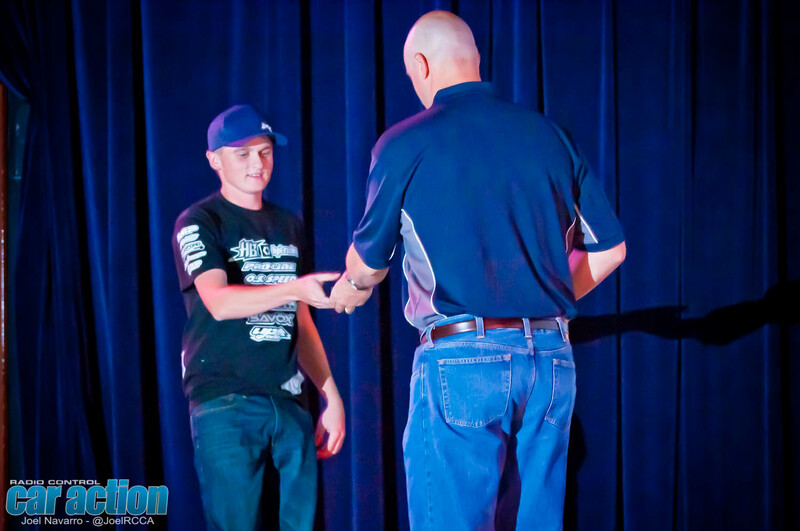 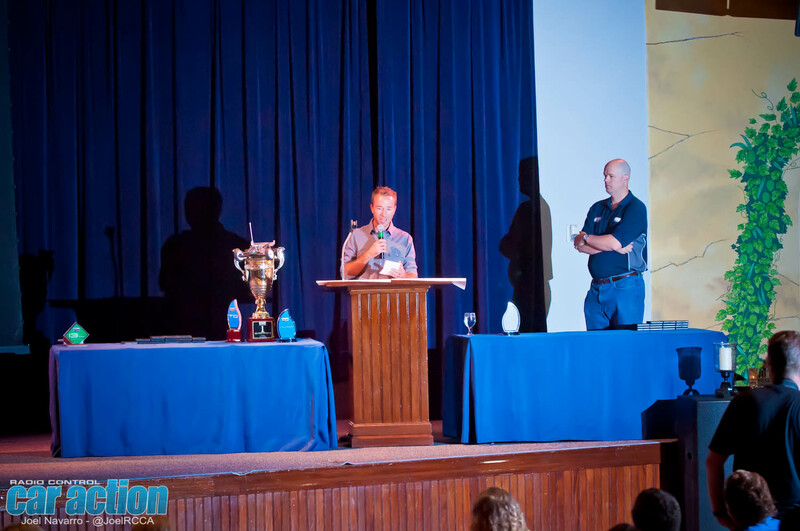 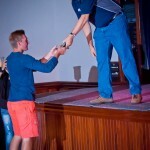 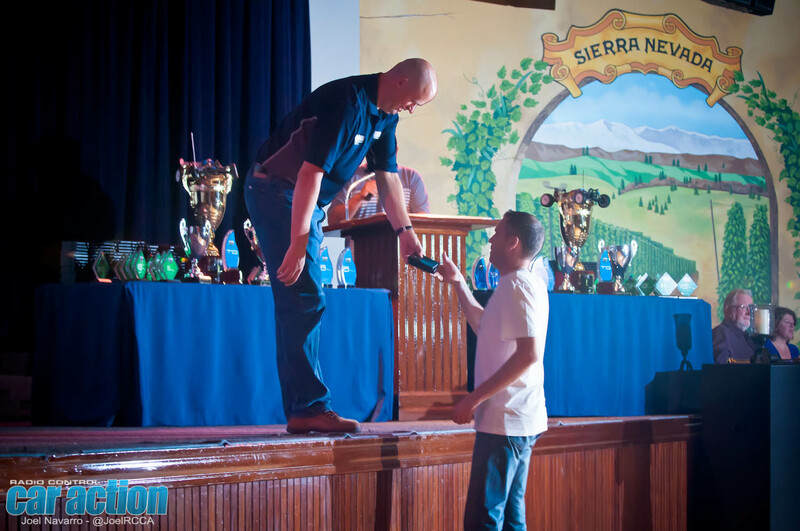 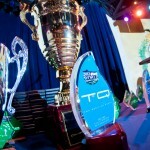 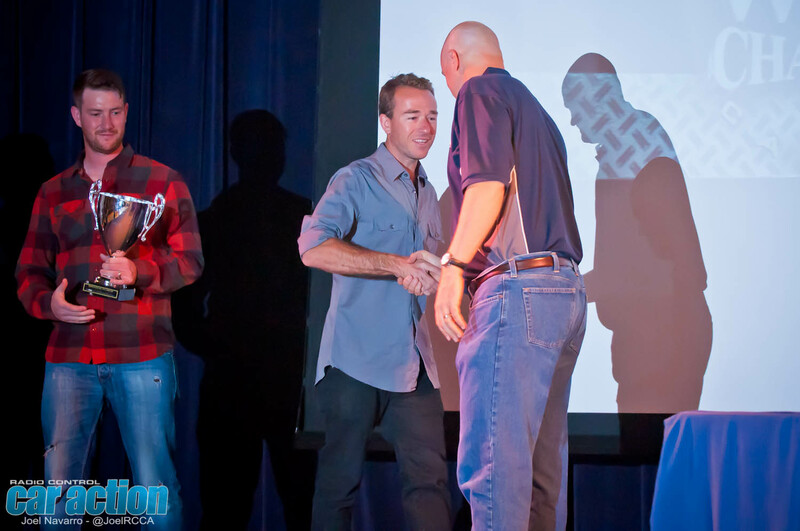 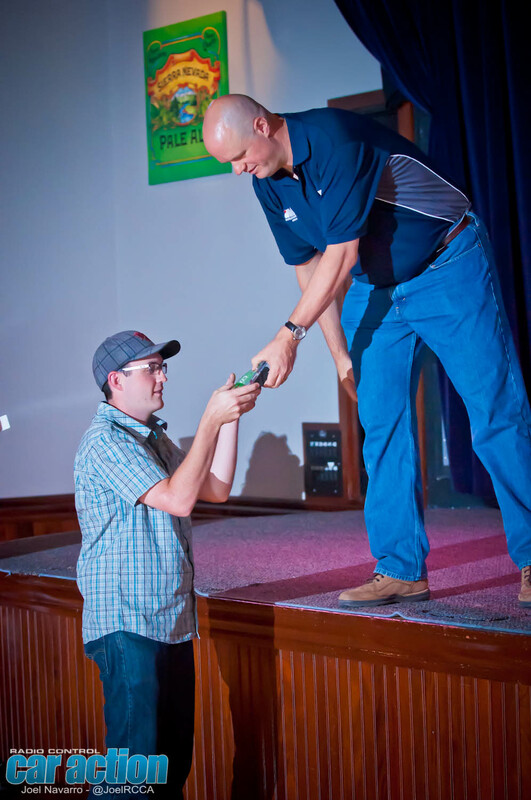 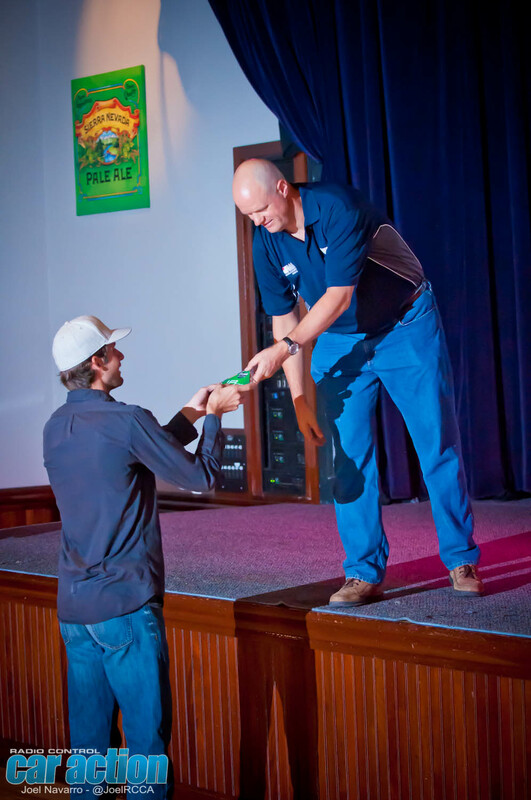 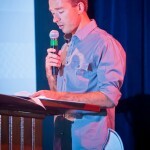 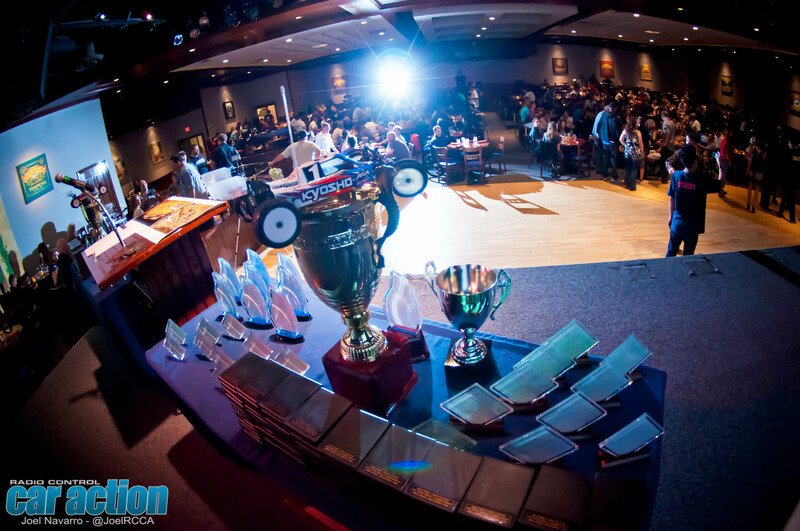 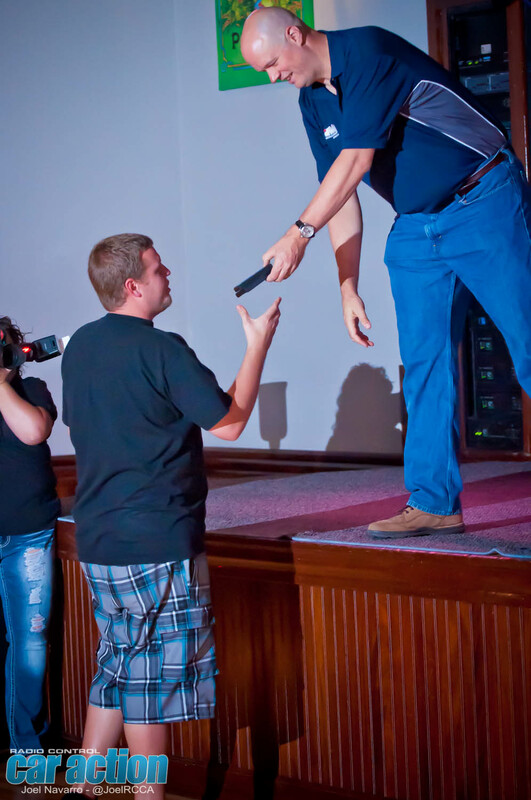 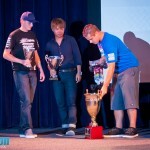 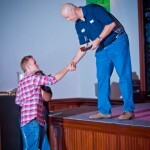 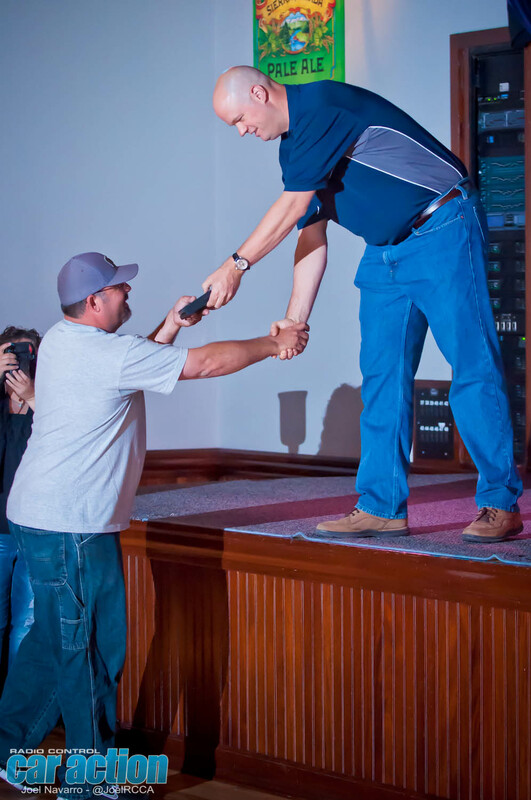 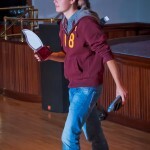 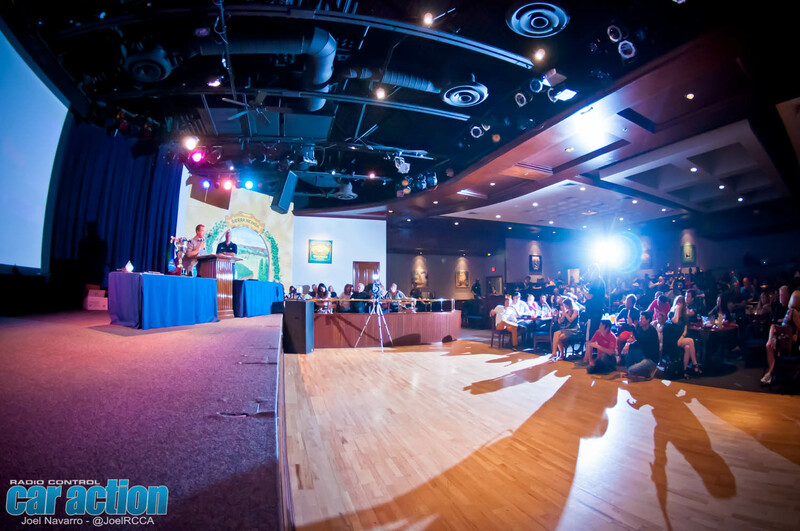 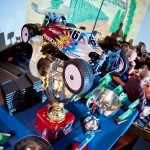 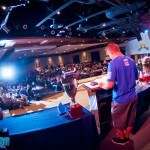 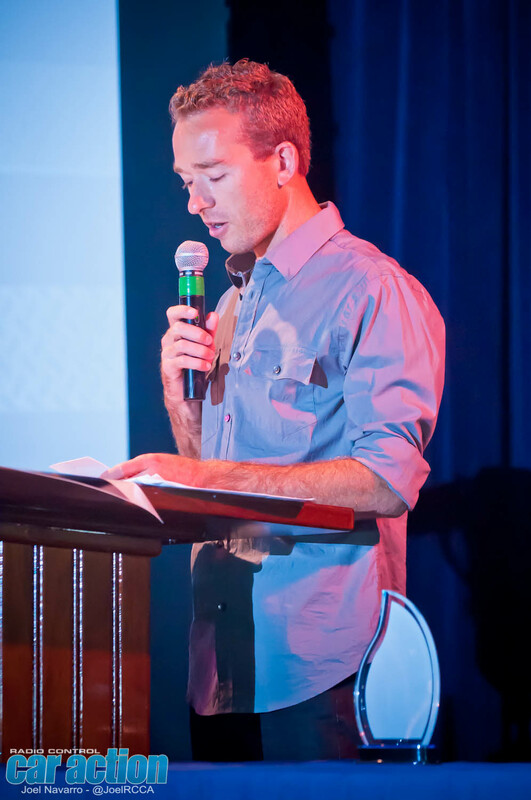 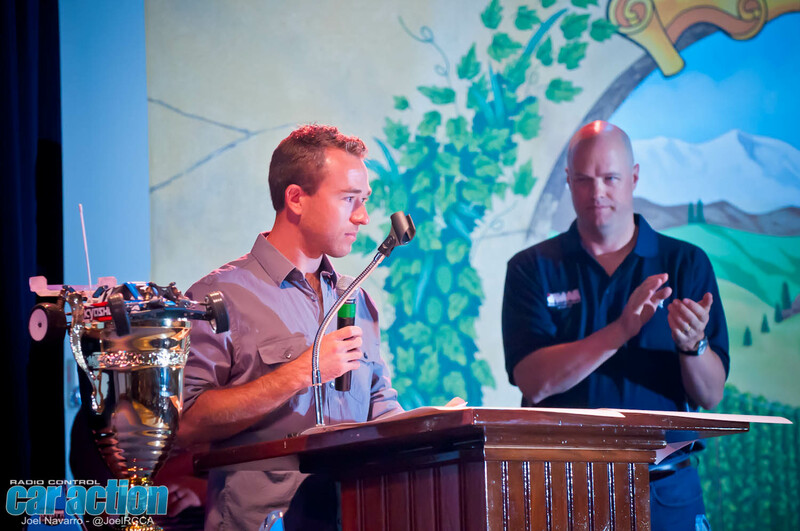 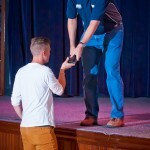 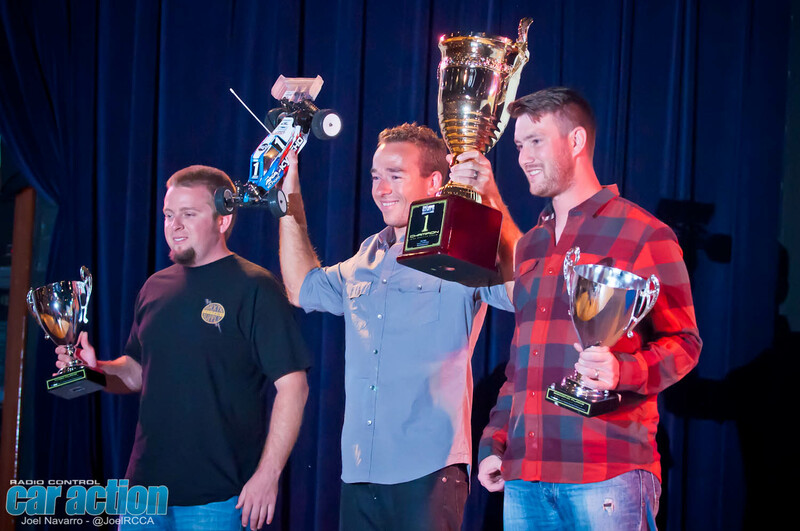 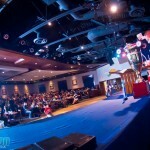 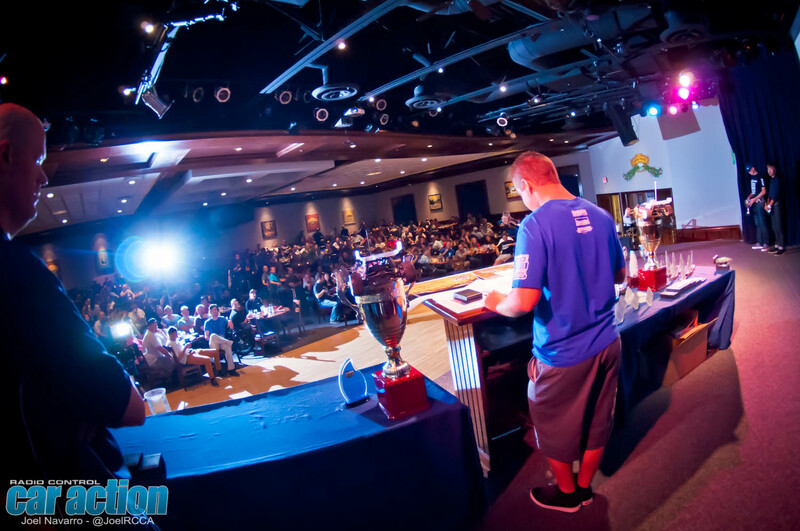 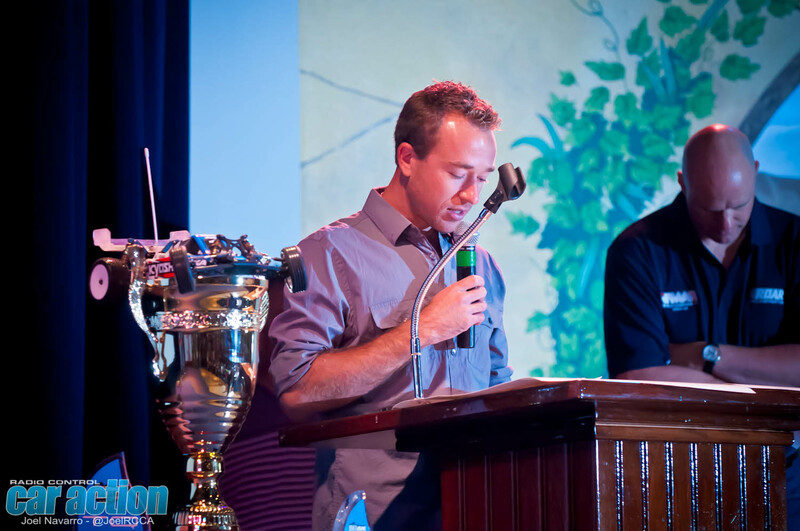 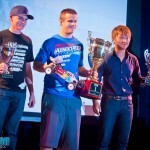 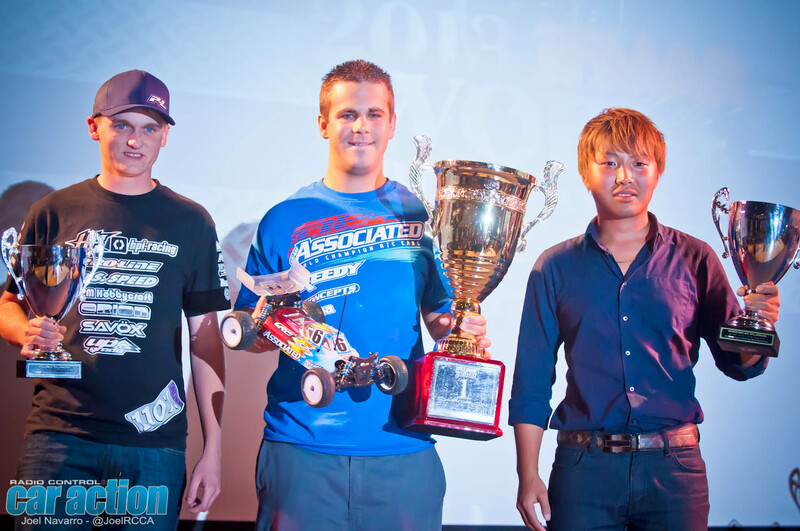 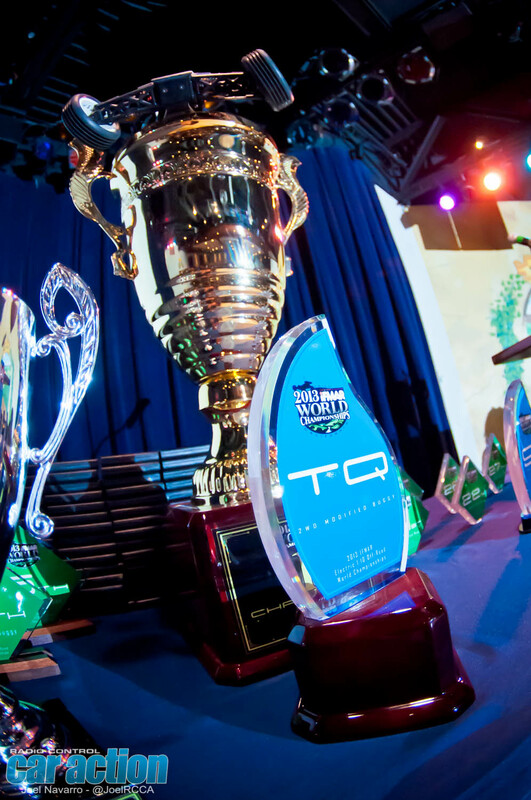 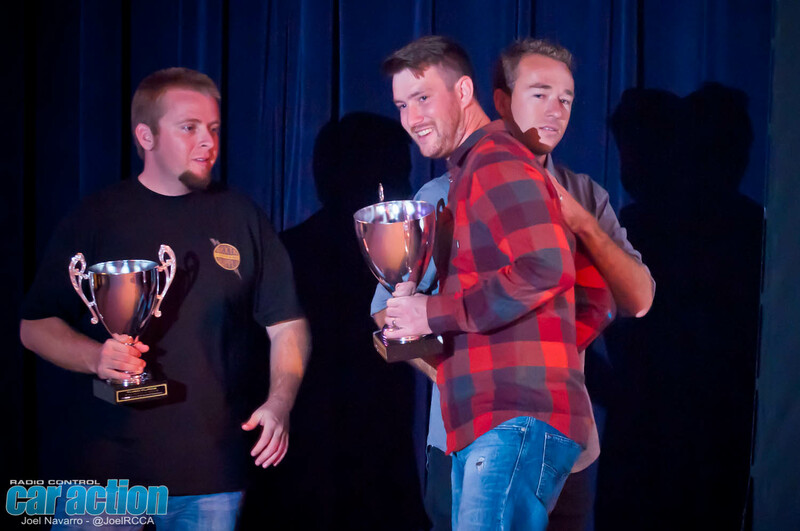 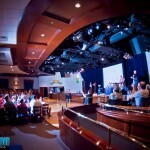 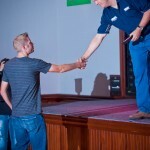 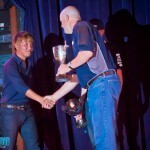 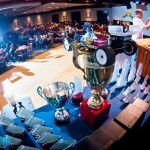 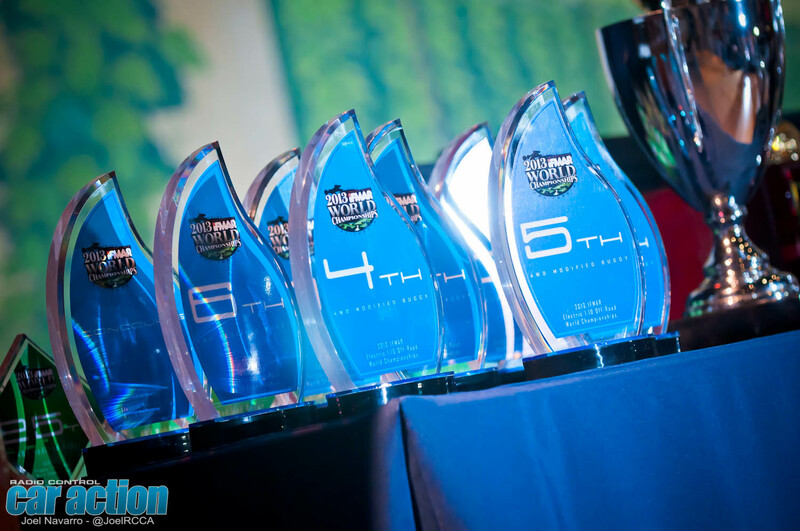 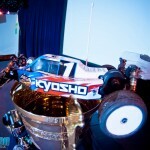 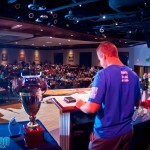 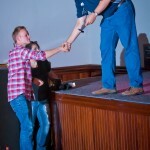 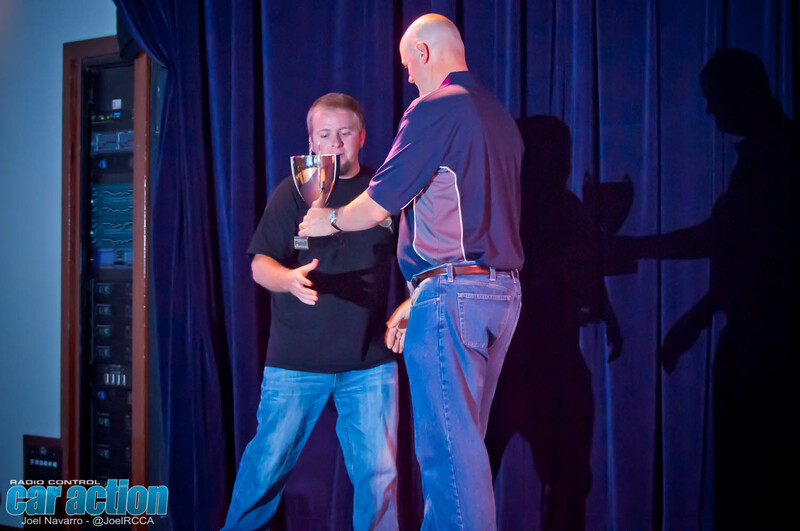 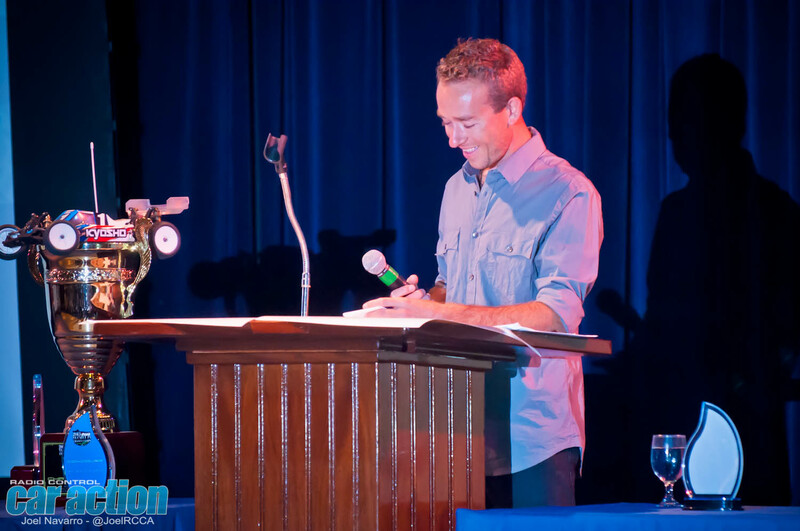 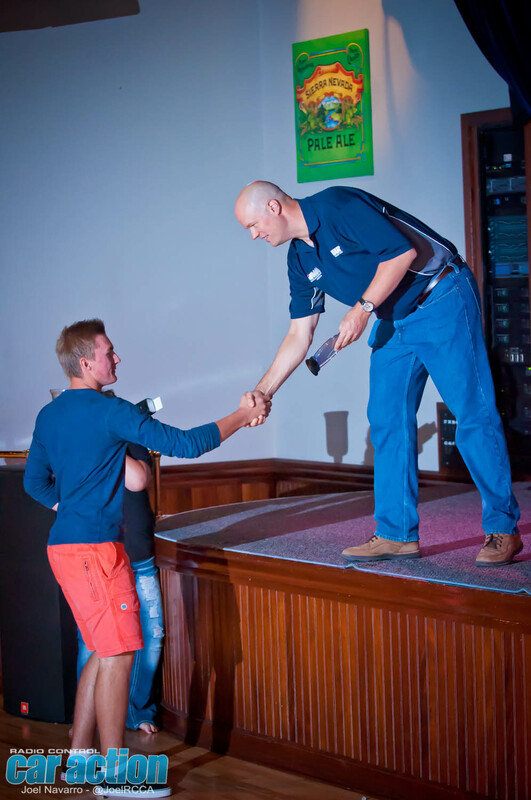 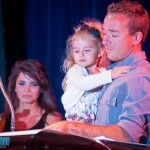 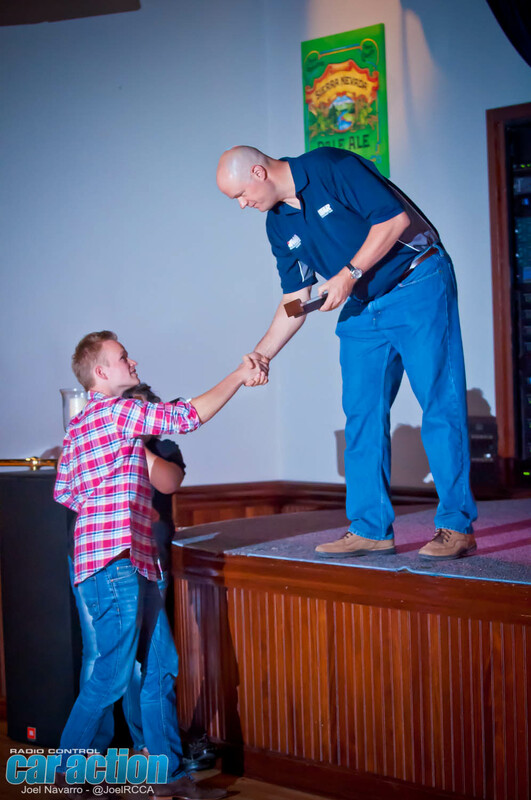 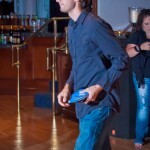 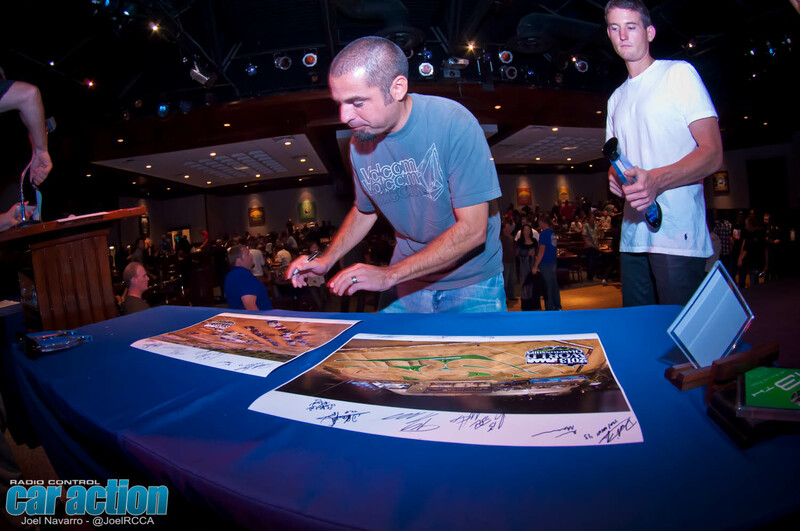 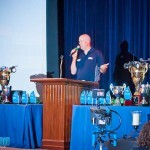 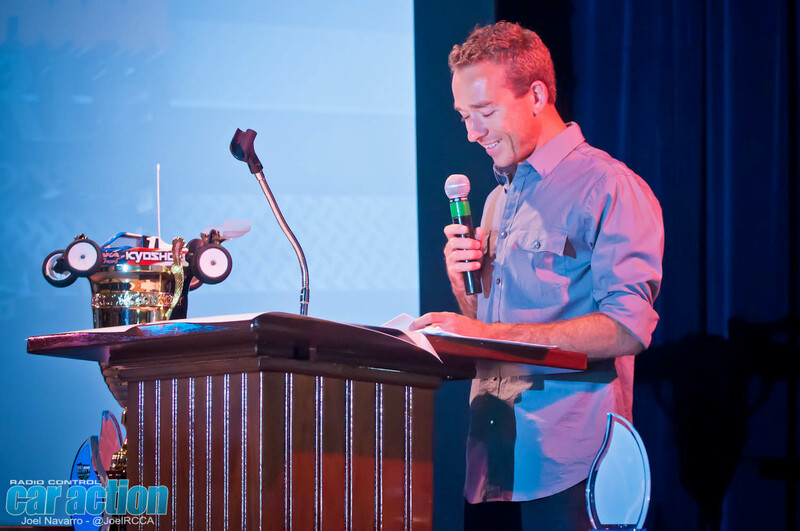 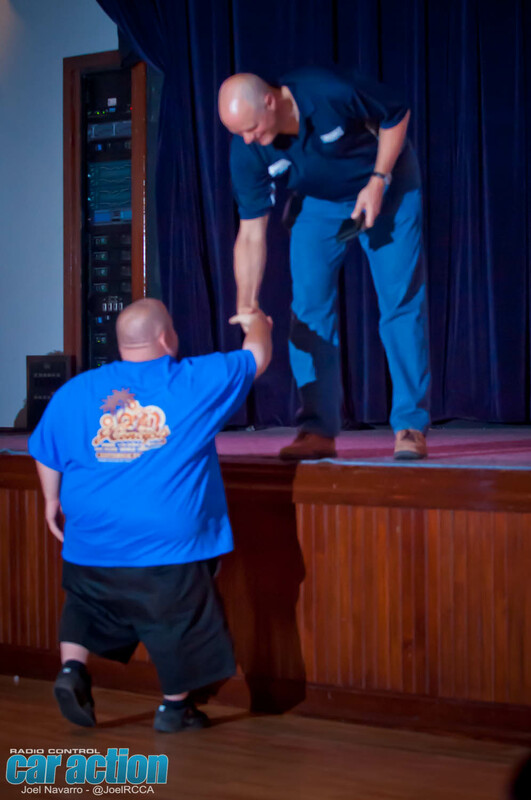 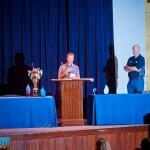 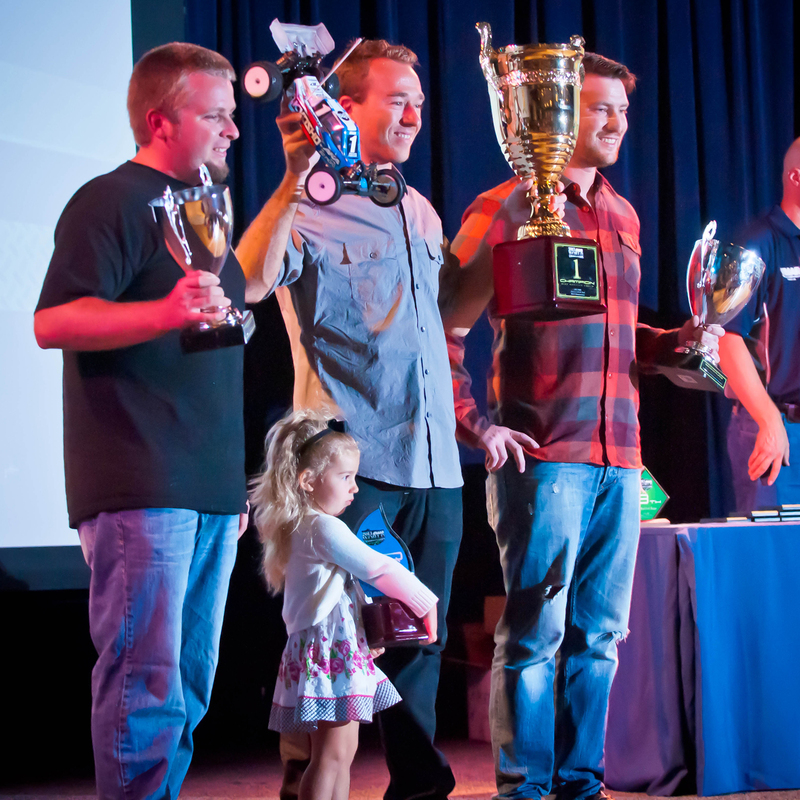 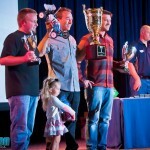 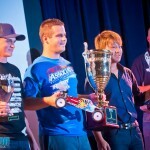 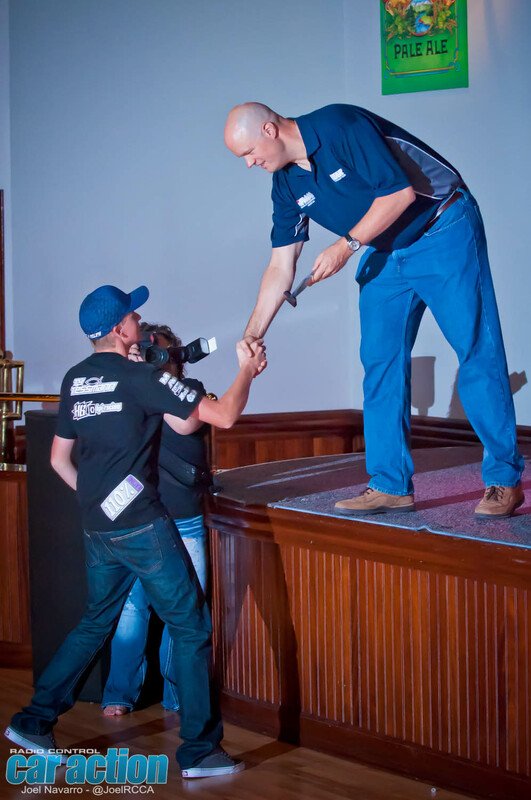 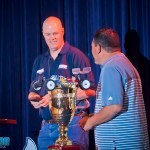 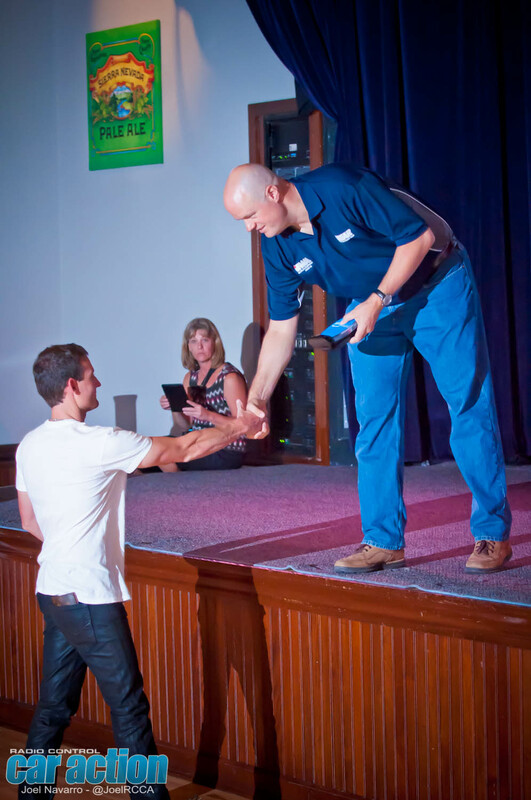 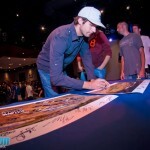 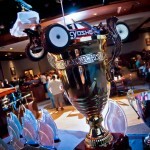 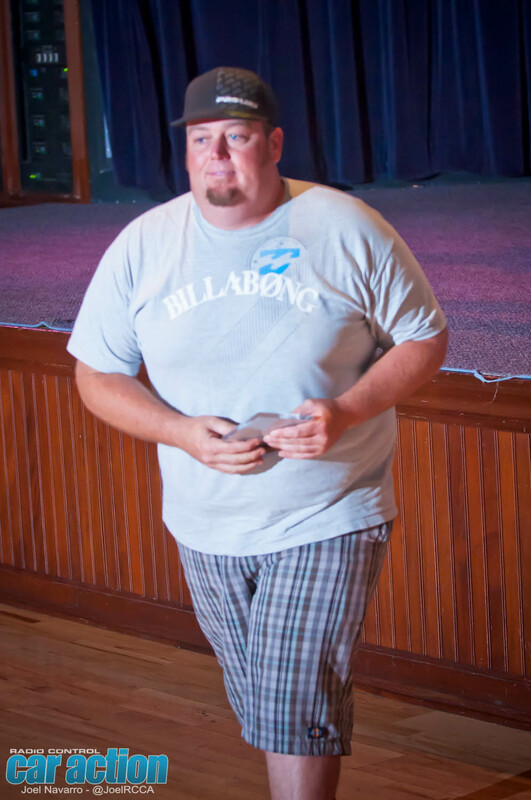 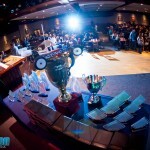 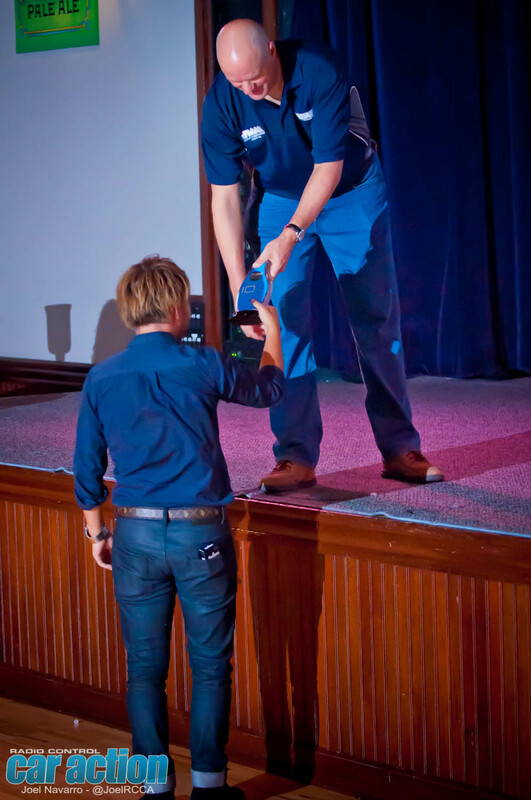 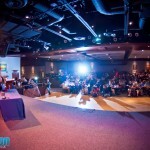 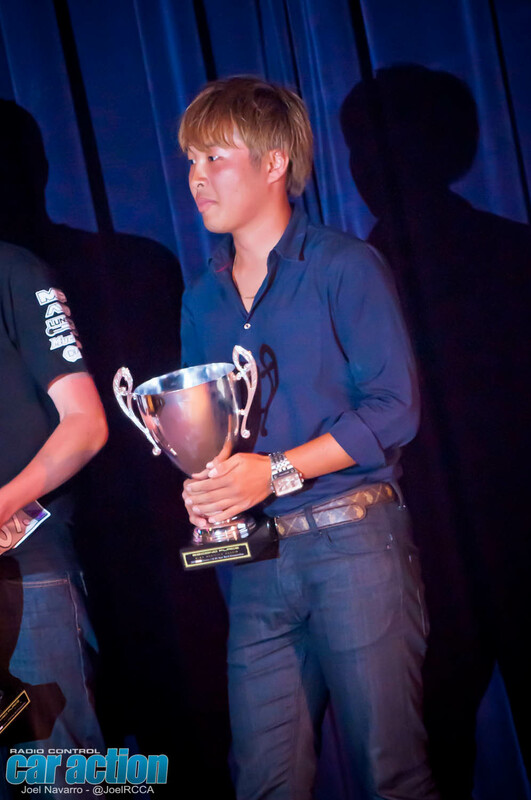 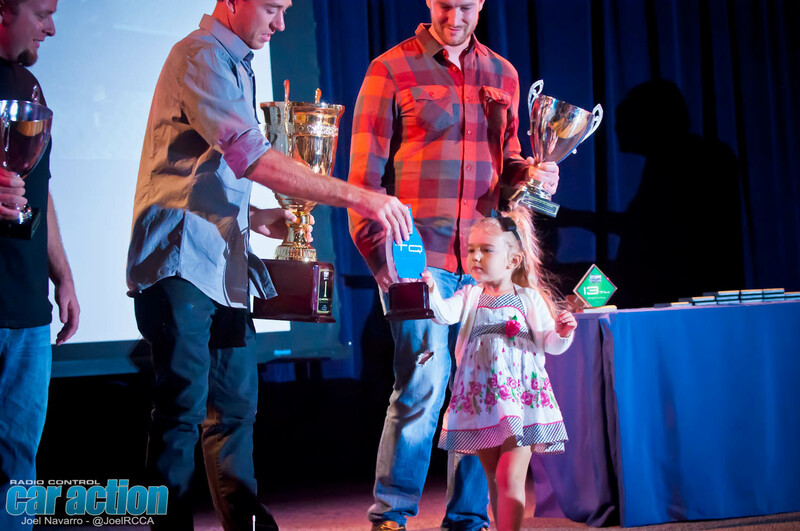 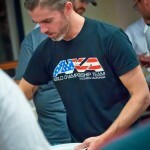 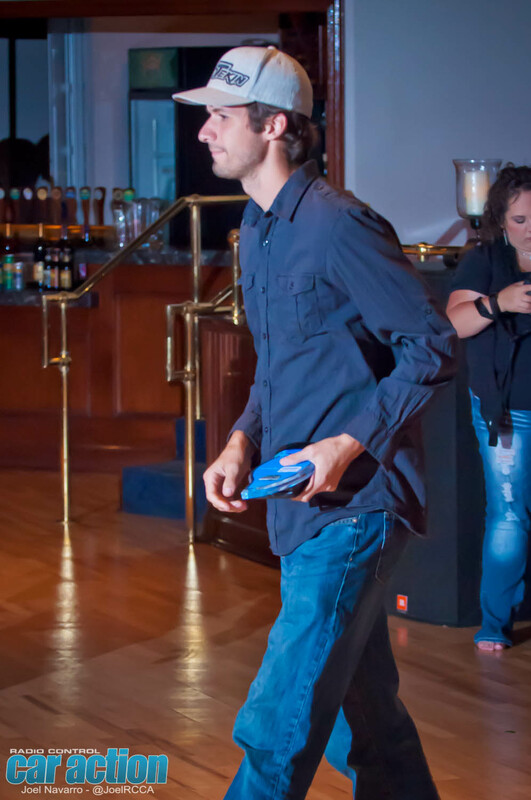 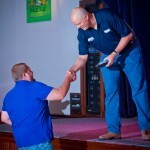 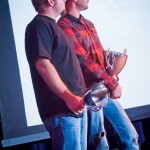 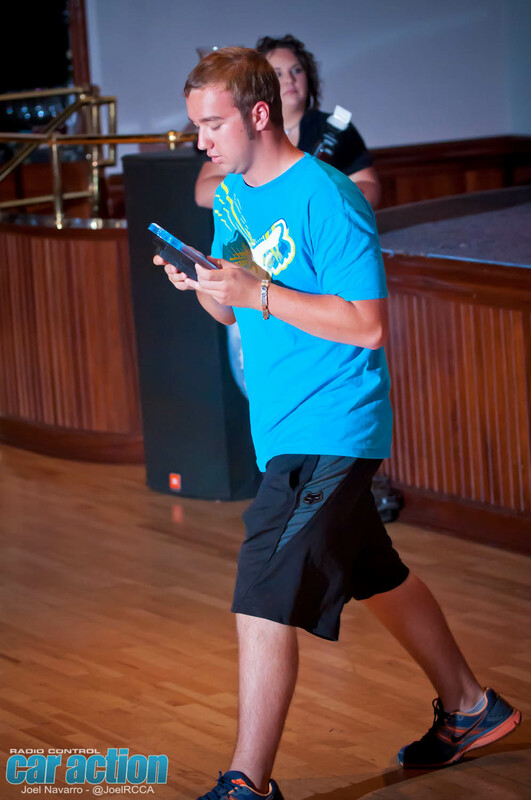 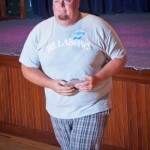 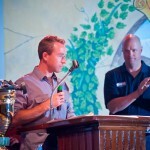 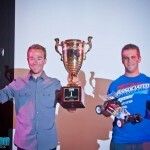 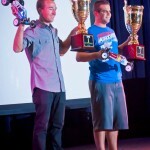 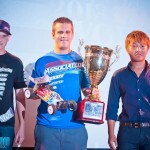 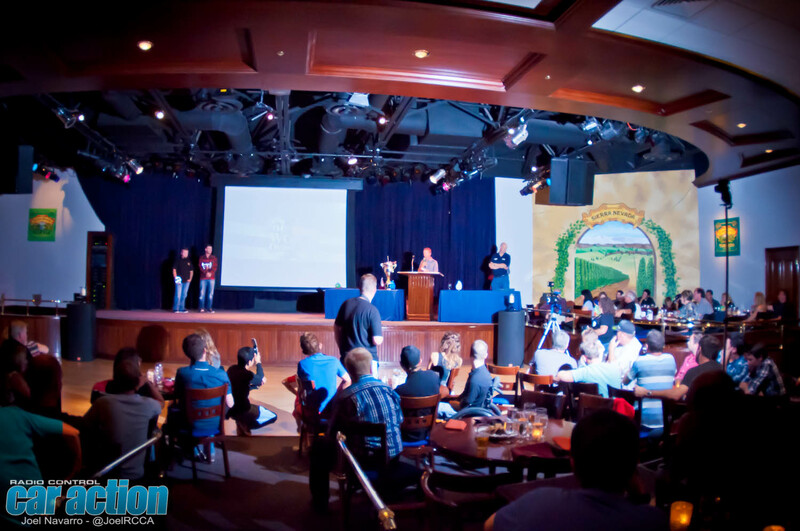 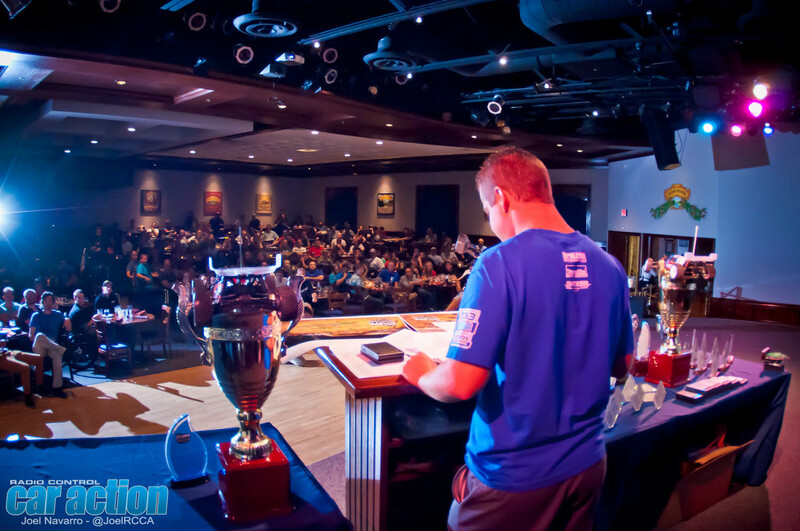 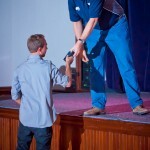 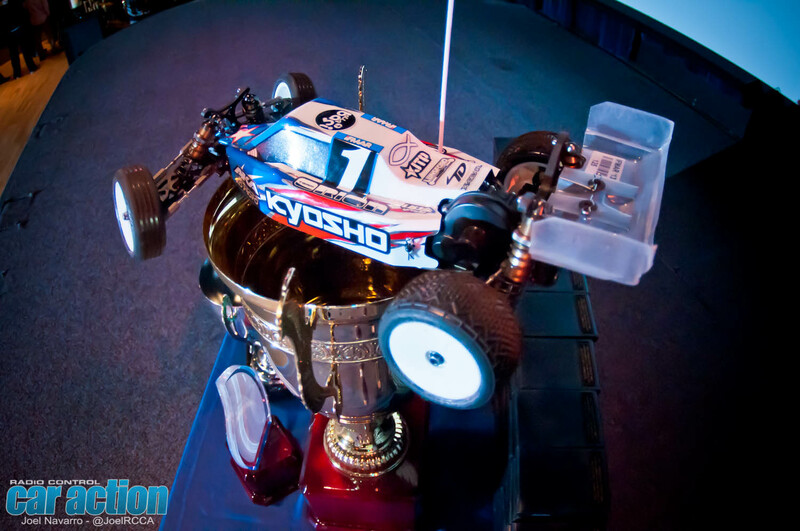 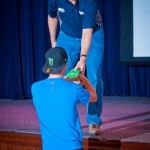 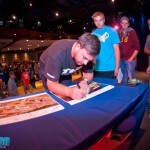 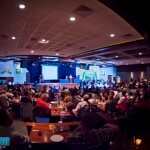 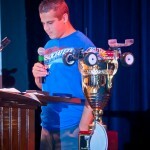 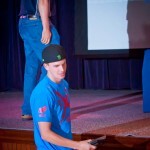 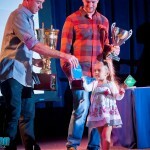 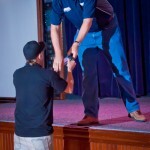 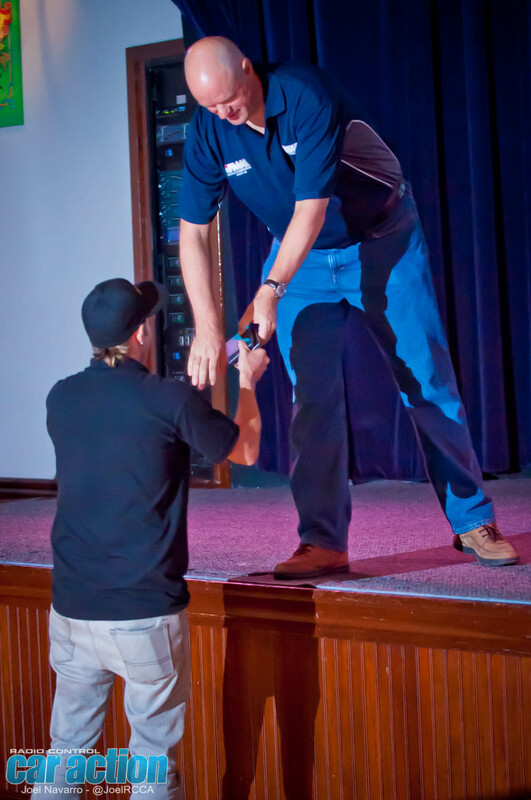 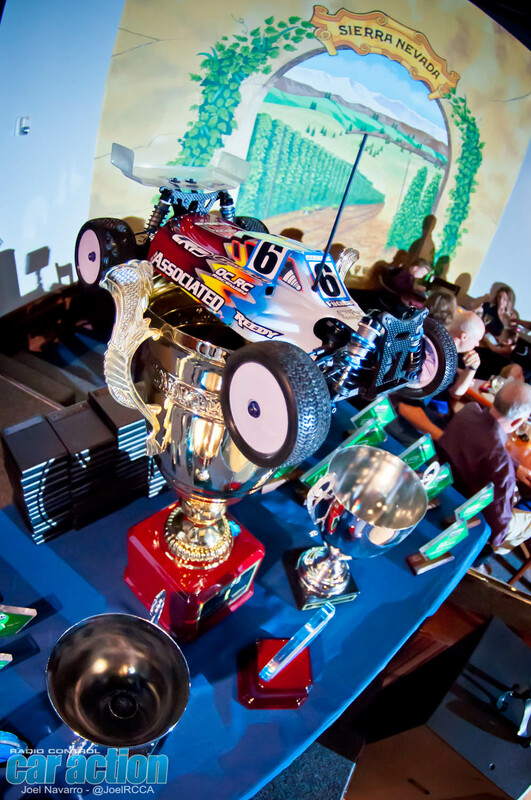 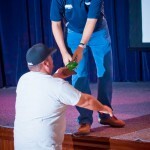 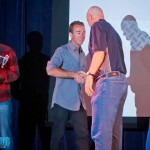 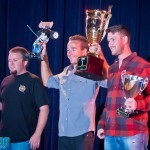 EXCLUSIVE: IFMAR Worlds Awards Banquet Video and Photo Gallery! 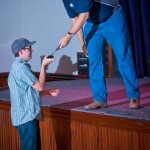 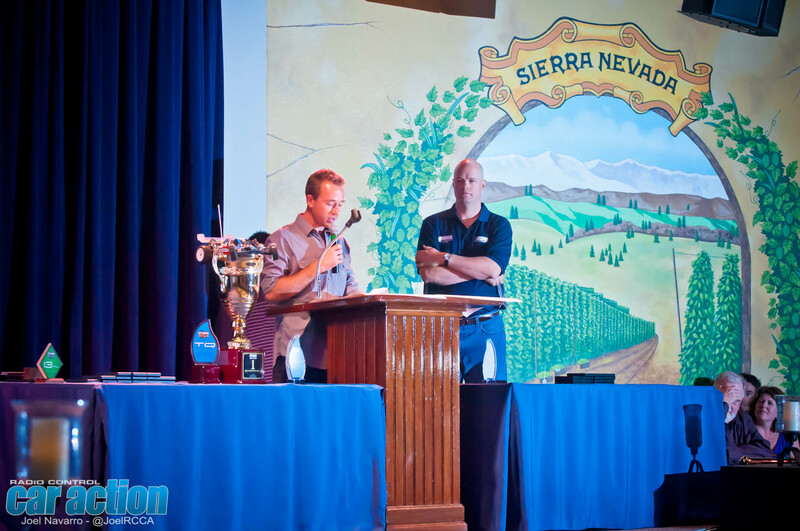 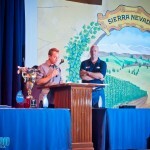 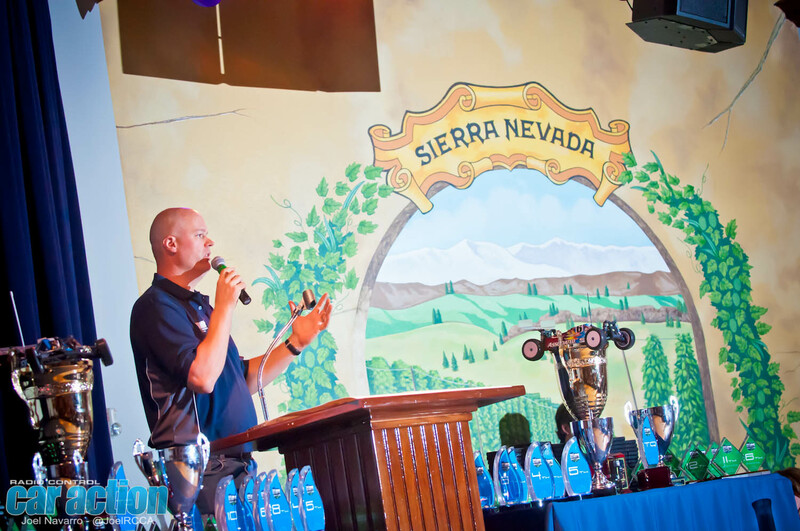 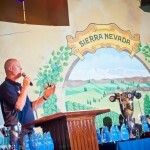 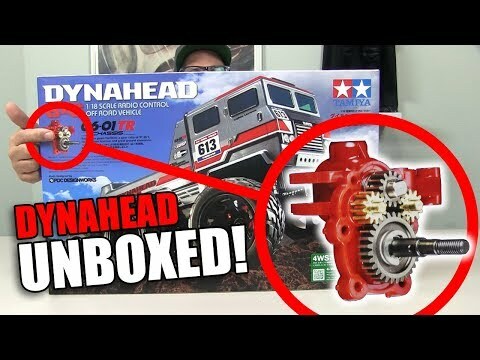 After six grueling days of racing action in order to crown two new IFMAR Electric Off Road World Champions, Kyosho’s Jared Tebo in 2WD and Team Associated driver Steven Hartson in 4WD, all attendees were invited to the official IFMAR Worlds Awards Banquet held this year at the famed Sierra Nevada brewery conveniently located less than a mile from the Silver Dollar RC Raceway. 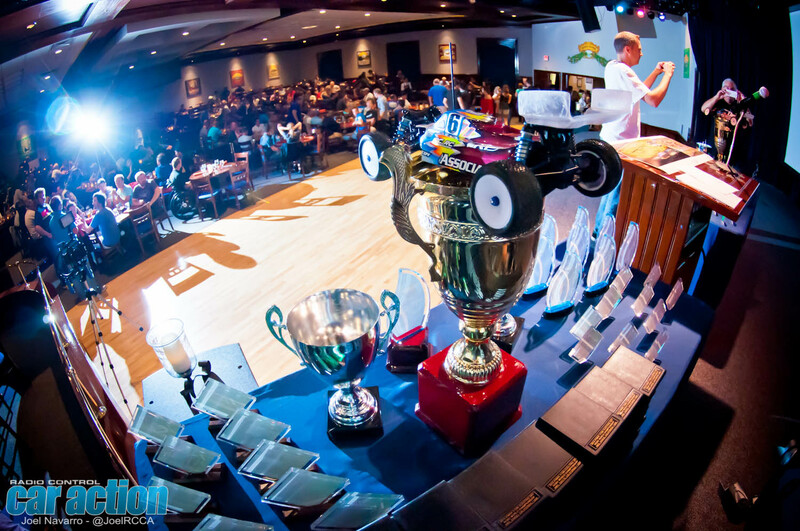 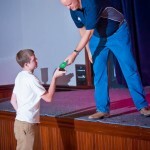 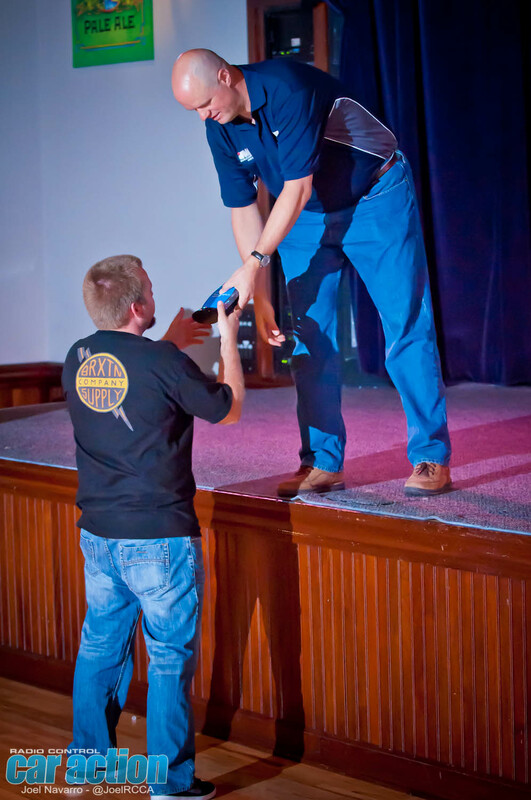 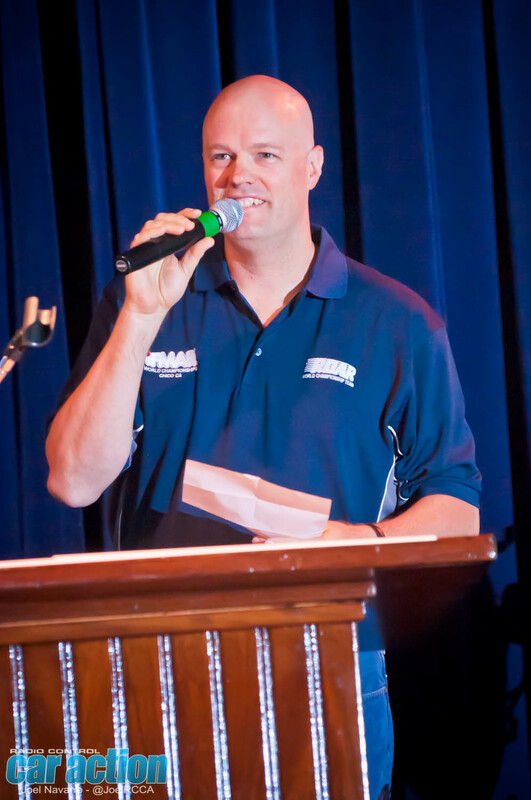 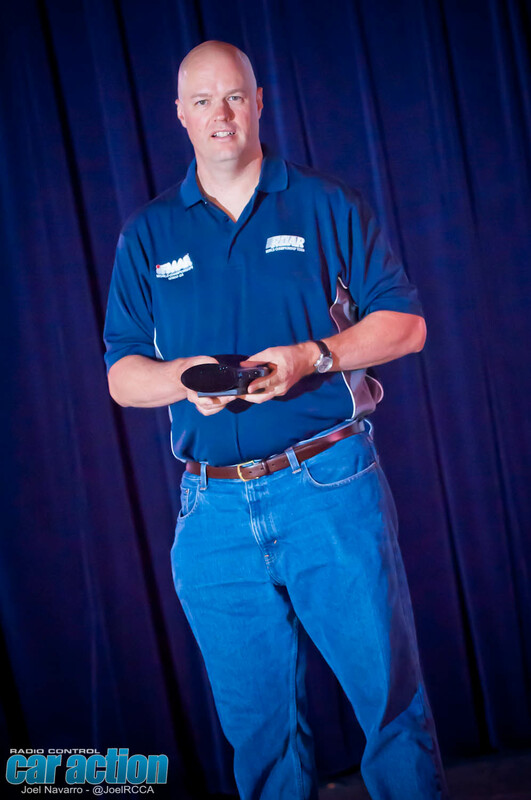 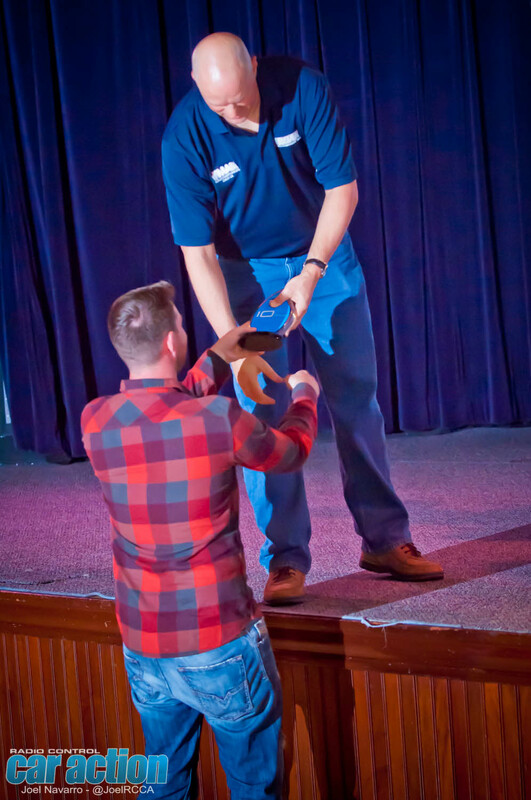 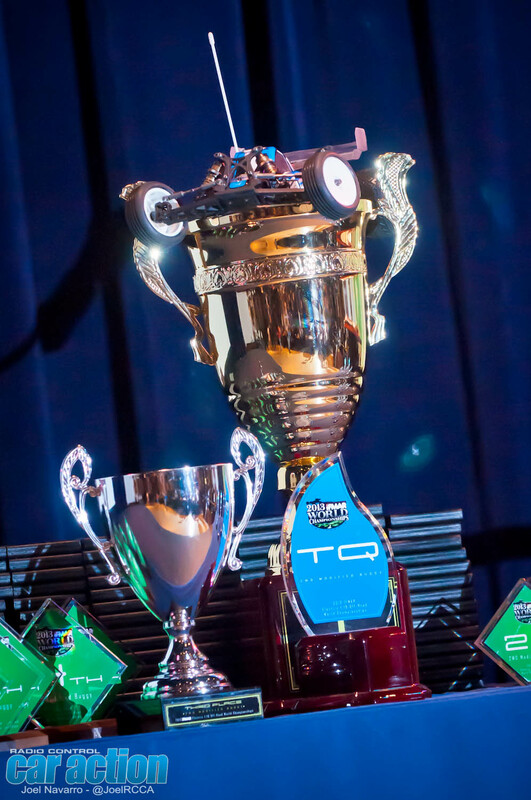 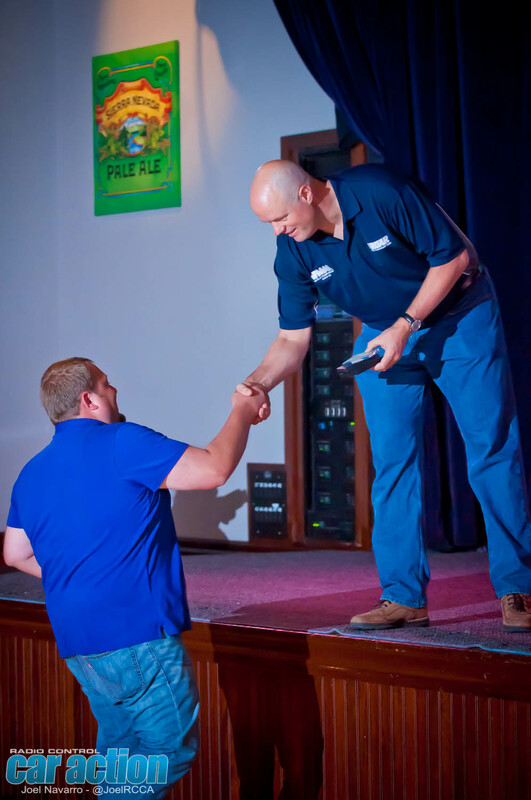 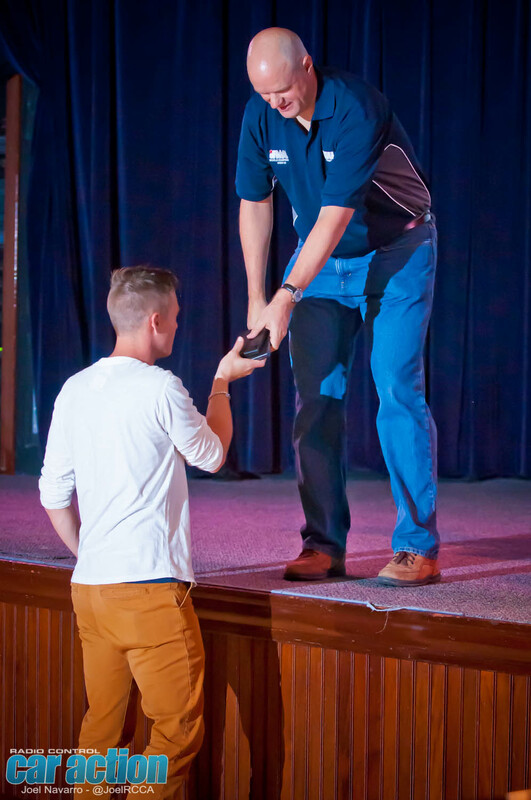 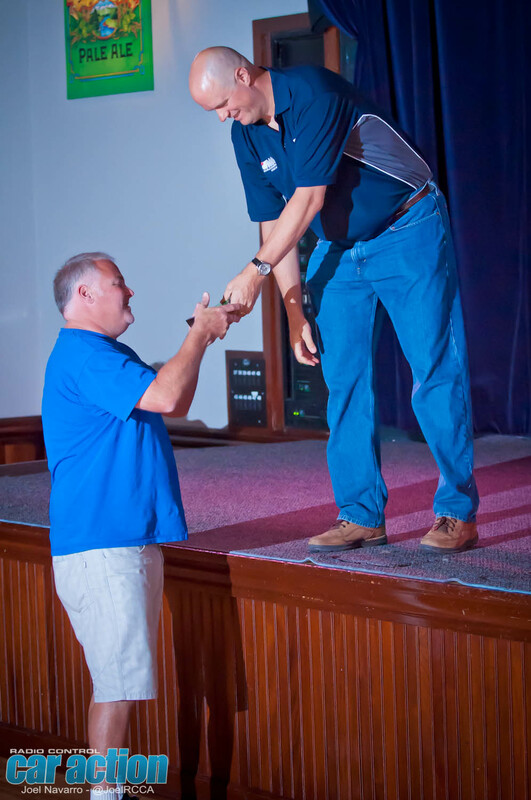 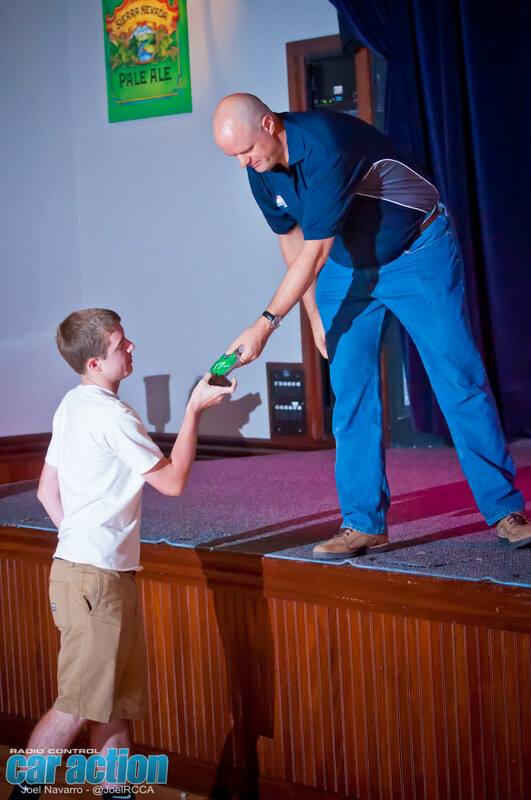 The evening began with an introductory address from A Main Hobbies CEO Kendall Bennett, a presentation of traditional participation medals for all racers as well as the announcement of each drivers’ finishing position, and moving speeches from both newly-crowned World Champions. 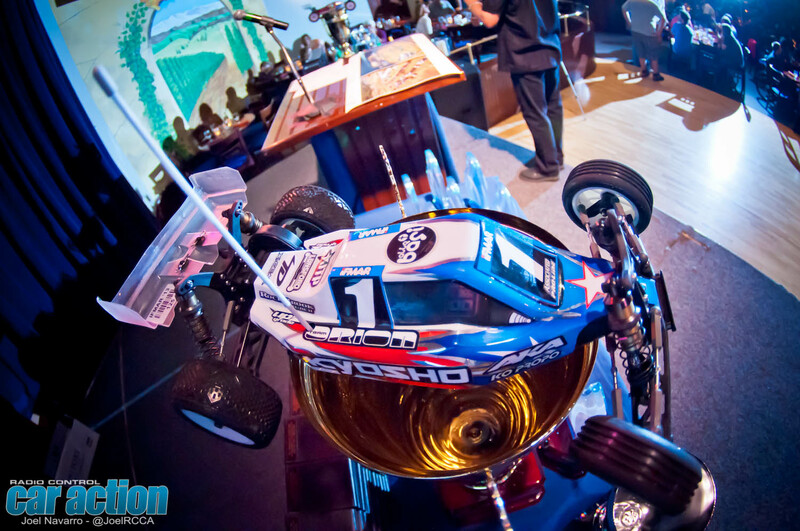 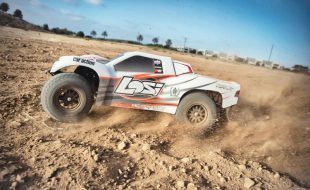 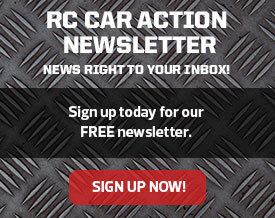 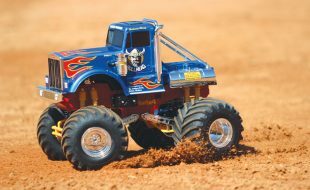 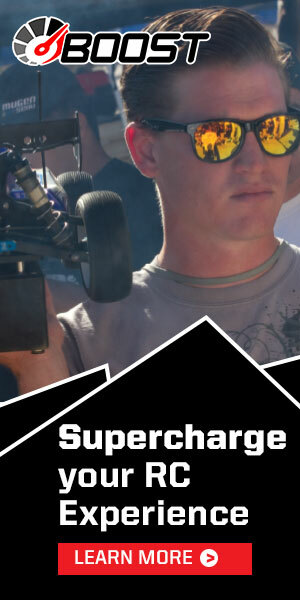 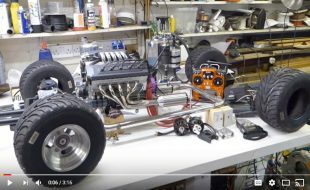 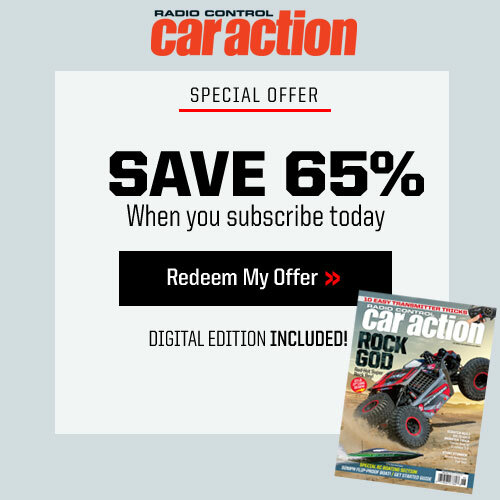 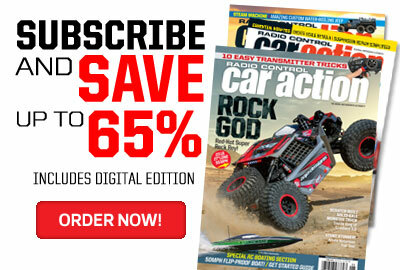 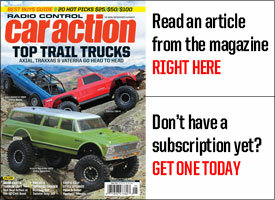 RC Car Action was the only media outlet to attend the banquet this year, and this is your chance to see how racers unwind after a rough week!